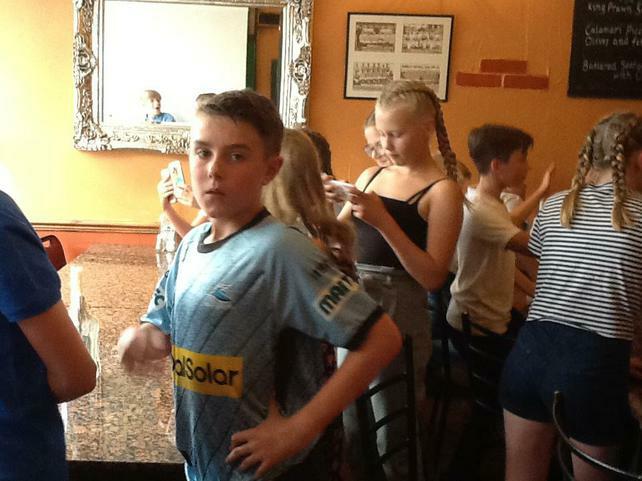 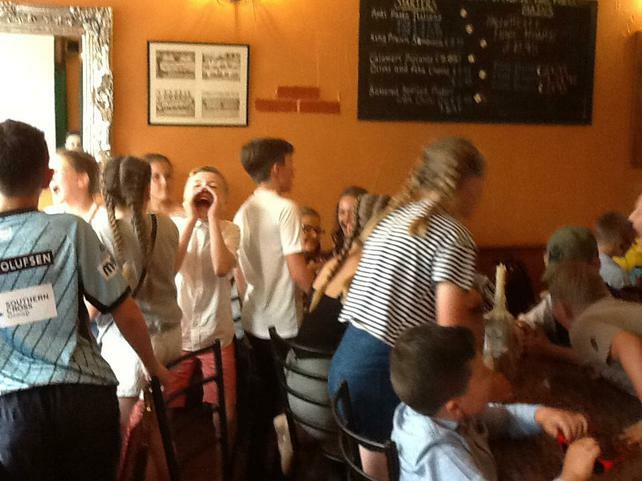 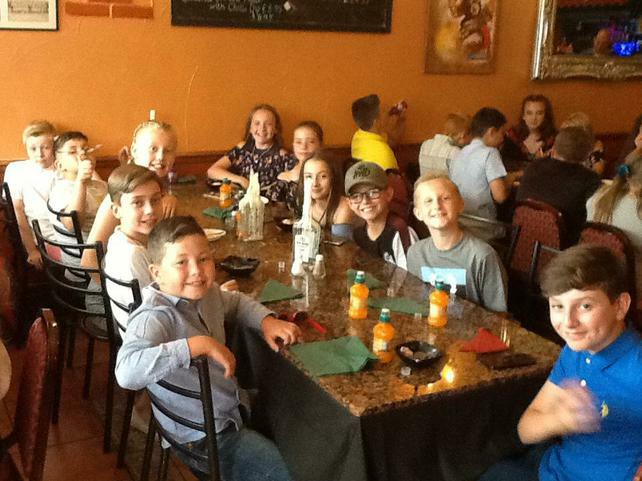 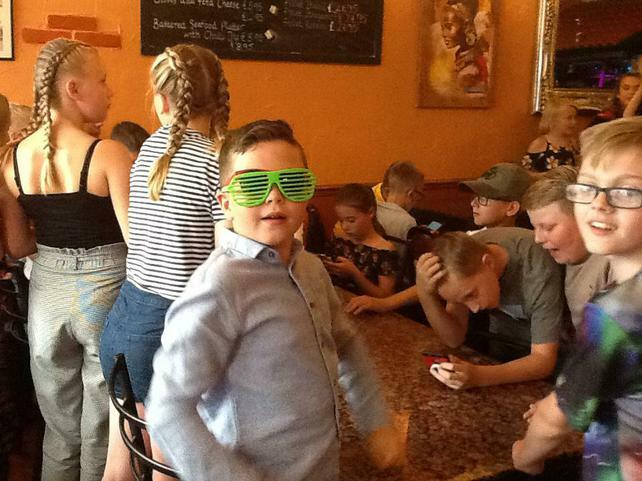 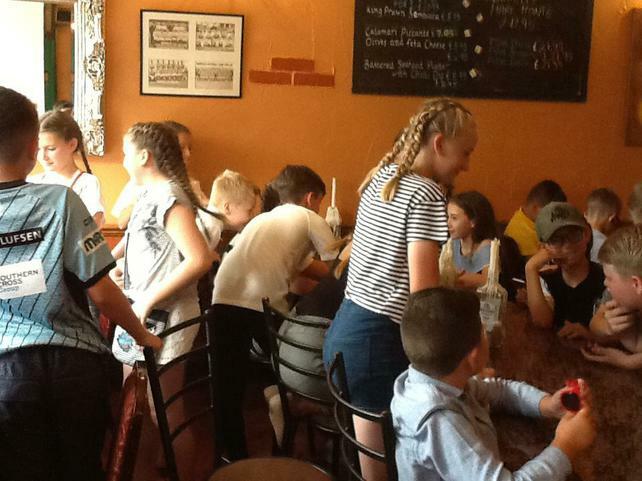 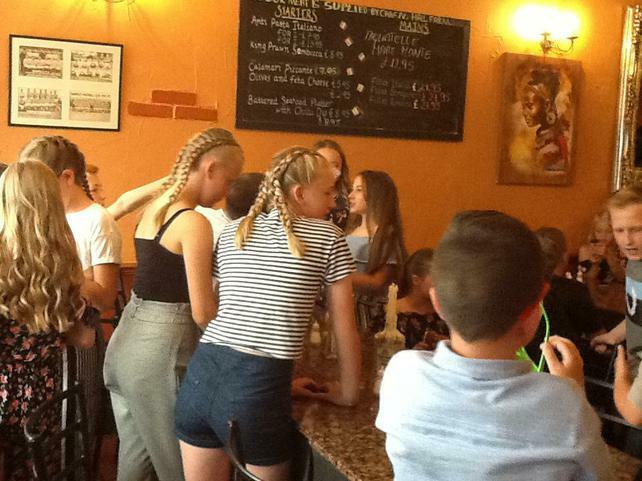 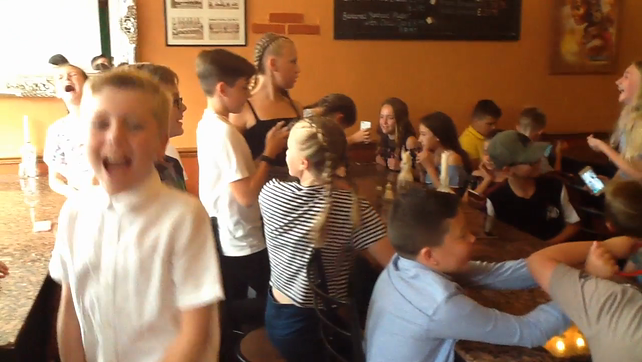 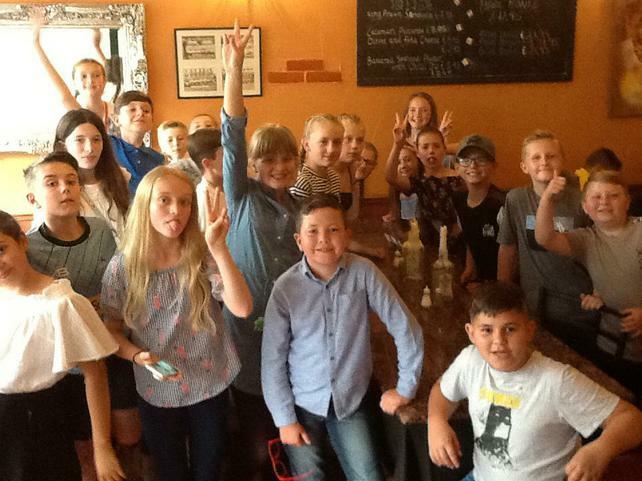 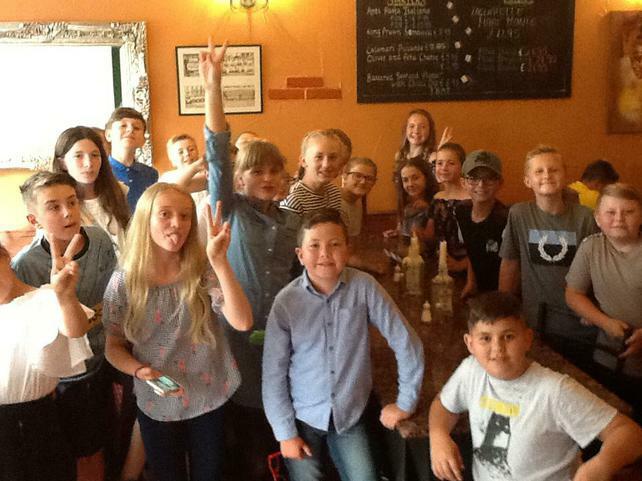 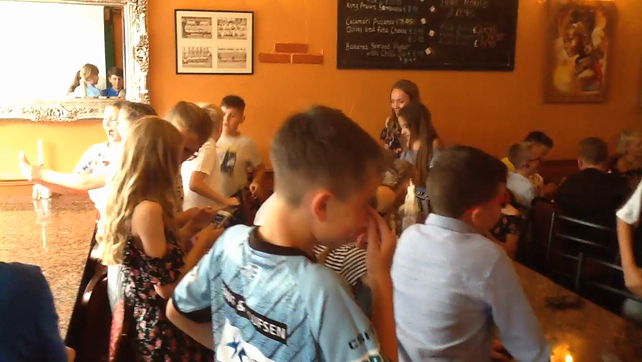 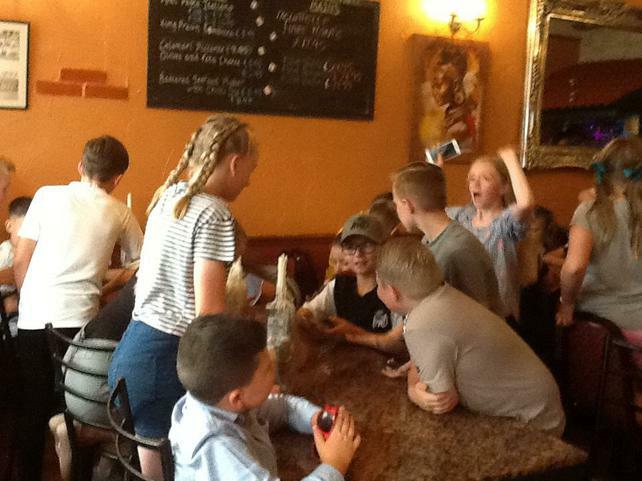 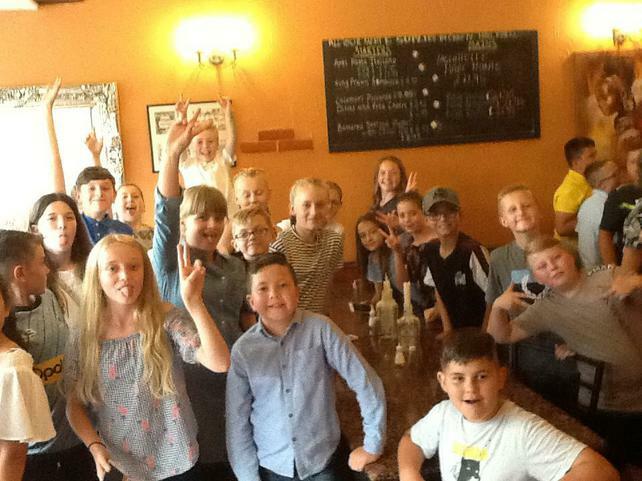 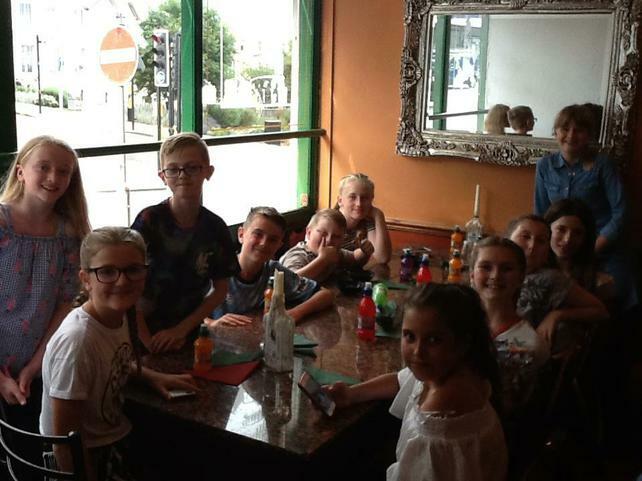 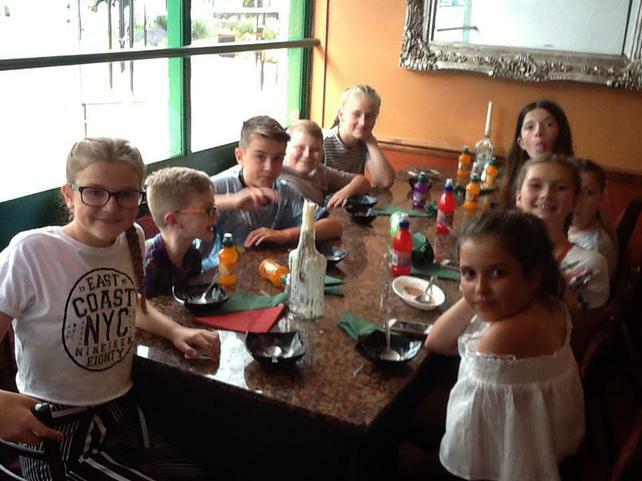 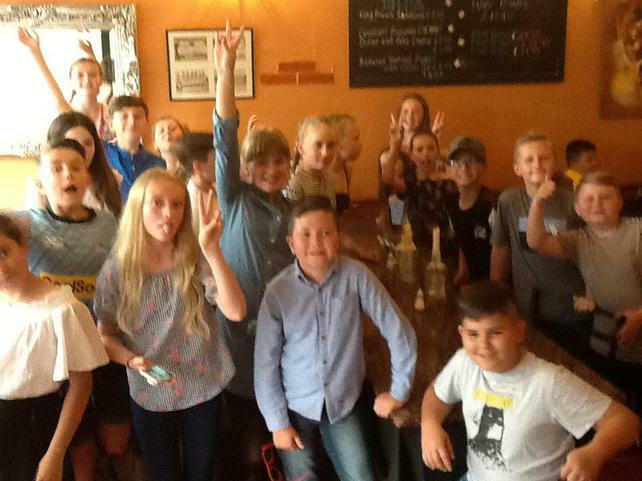 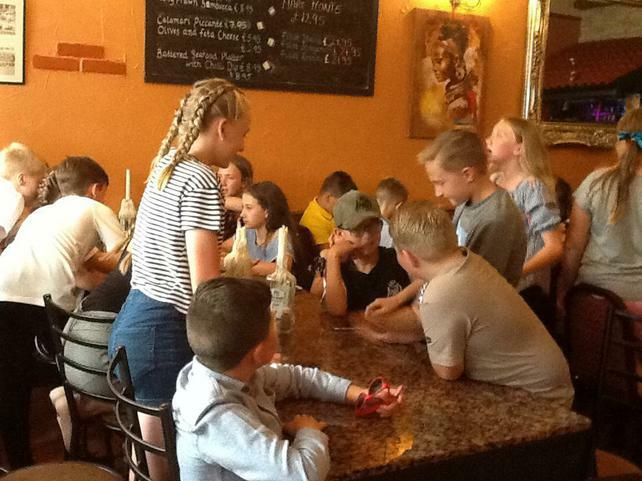 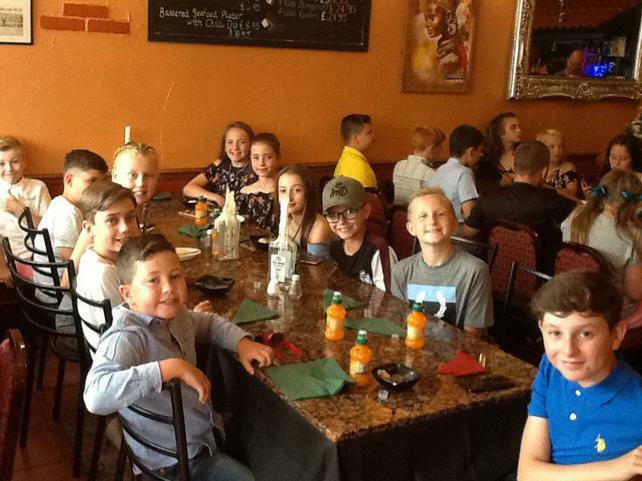 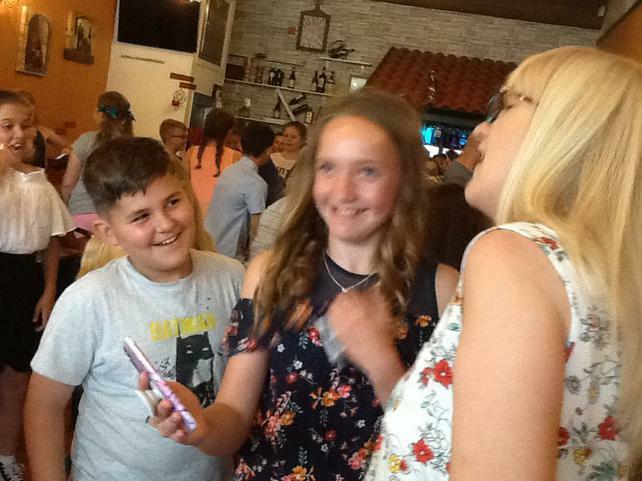 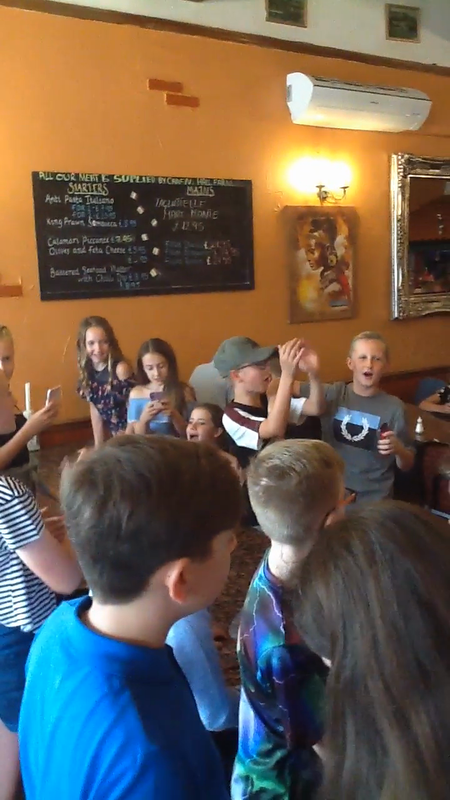 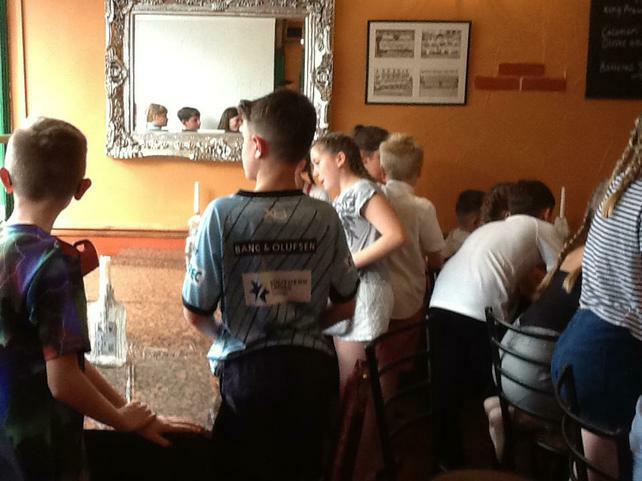 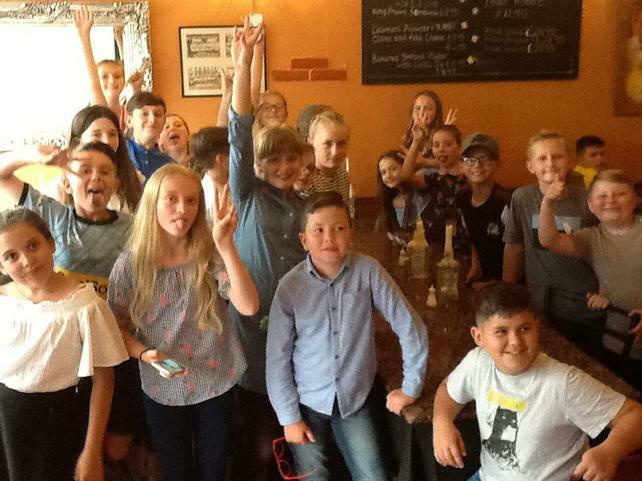 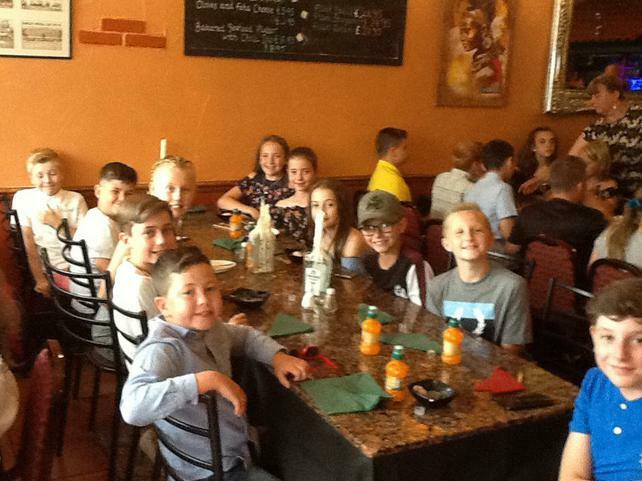 To celebrate before our SAT's results Class 5 went and had an amazing time at our leavers meal at Romanos on Monday night. 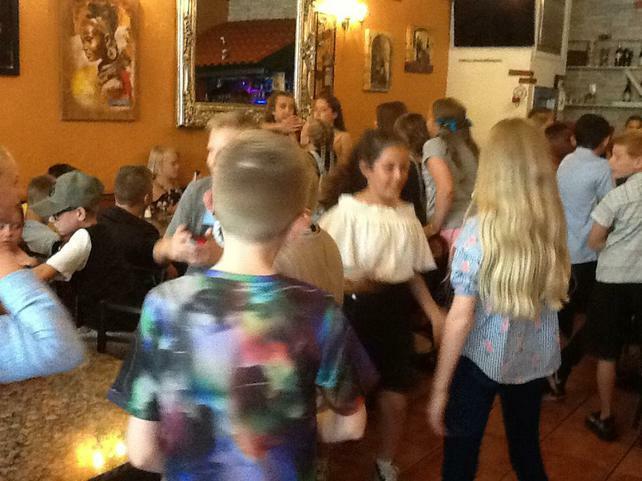 There was lovely food and some singing and dancing. 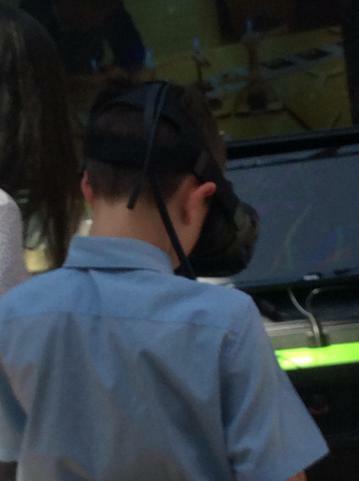 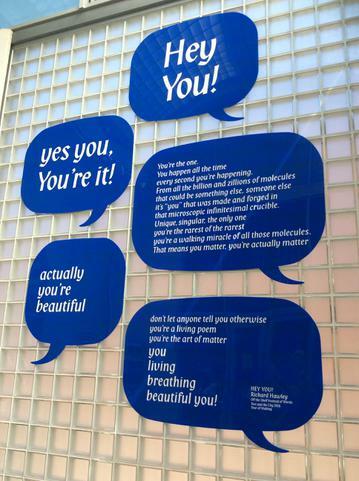 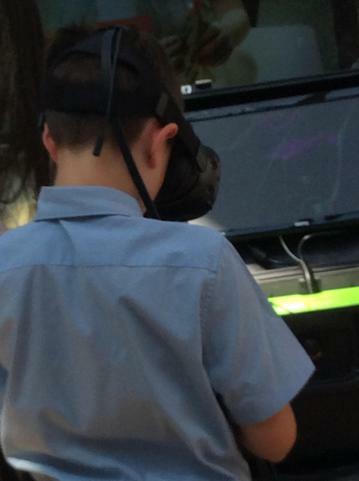 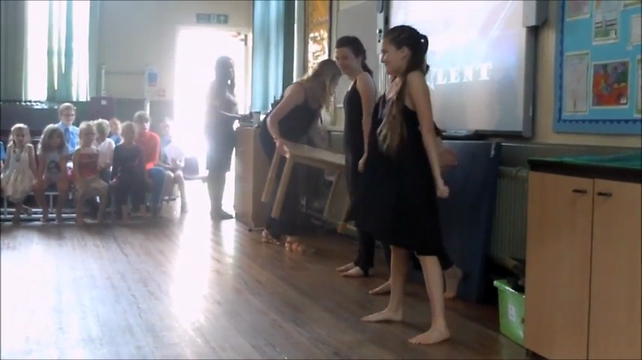 This is a wonderful way to end the year celebrating how far we have come. 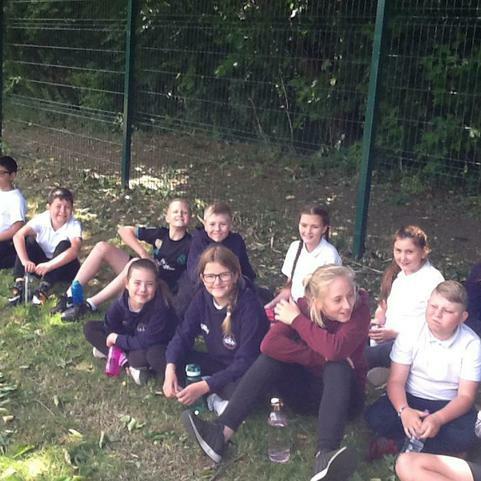 Well done to everyone in Class 5 for their unbelievable SAT's scores your hard work has gone a long way in helping to establish St. Helen's as one of the top schools in Barnsley again. 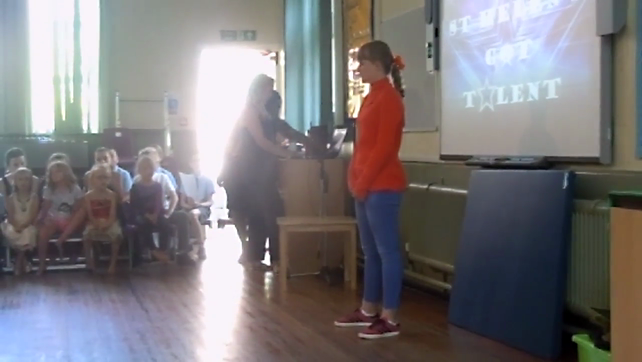 It was a fantastic showcase of talent! 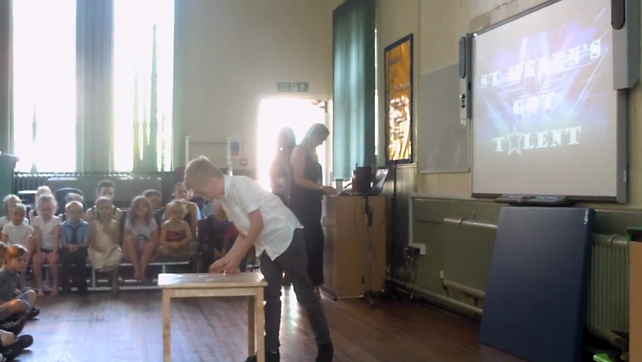 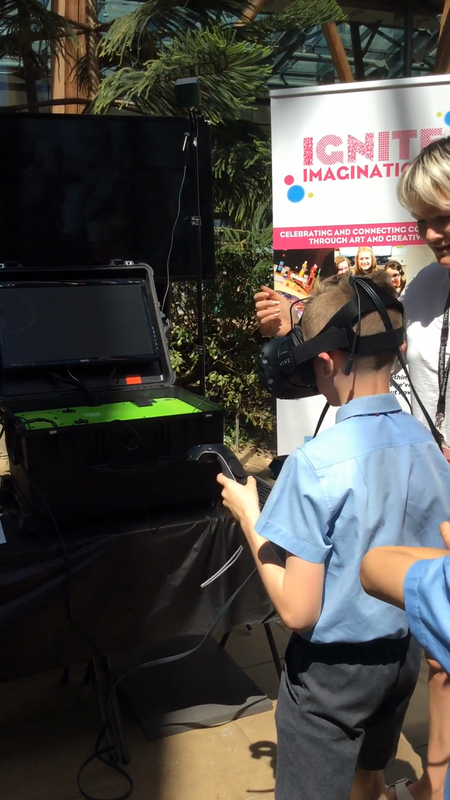 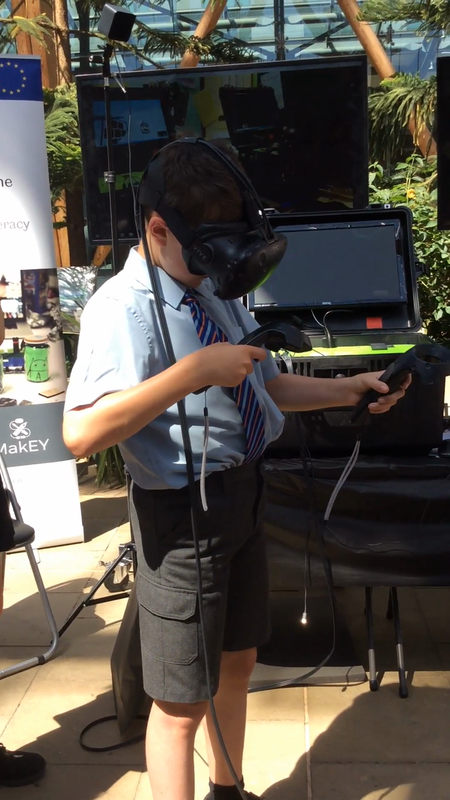 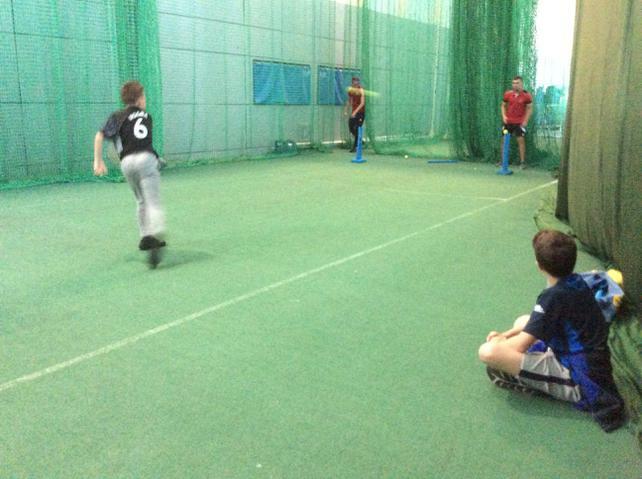 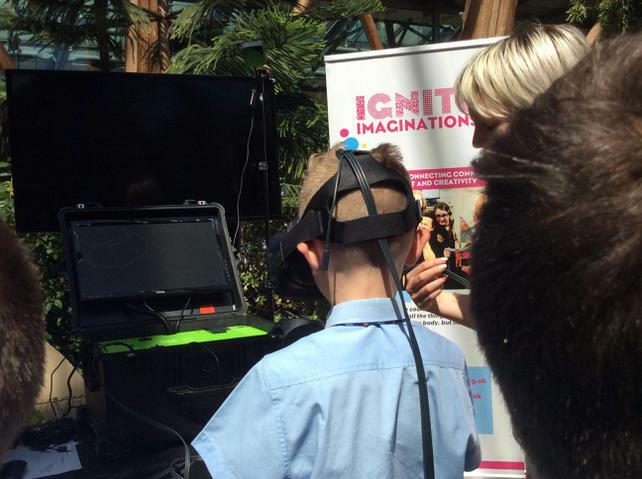 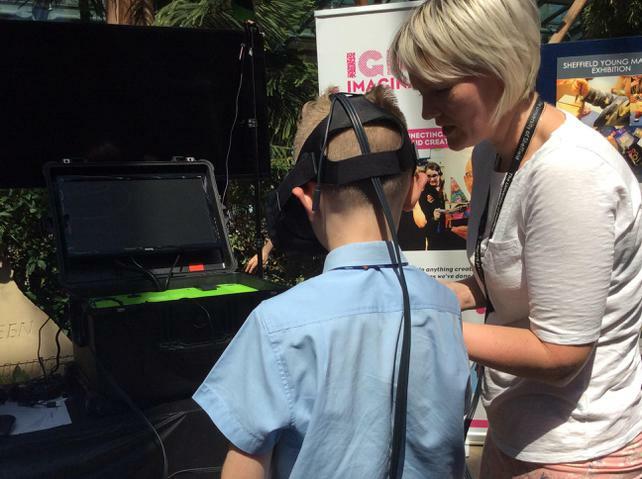 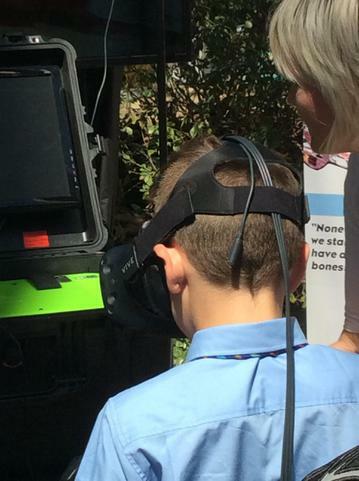 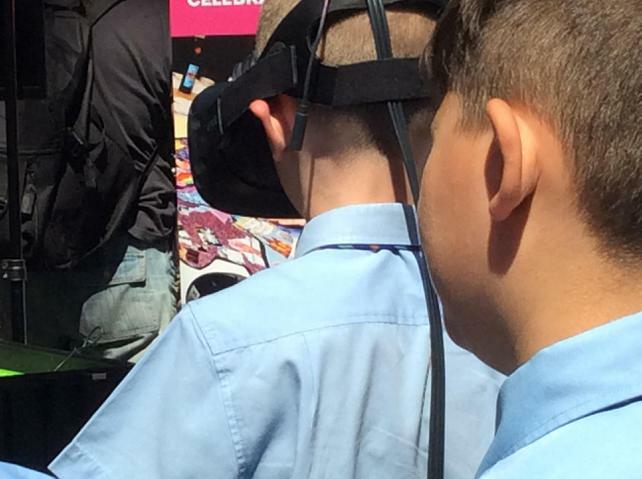 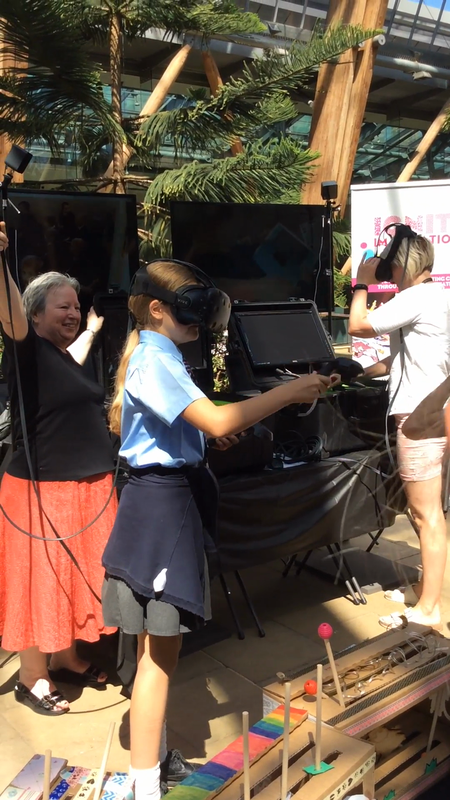 Here are some short video clips of the finalists from class 5. 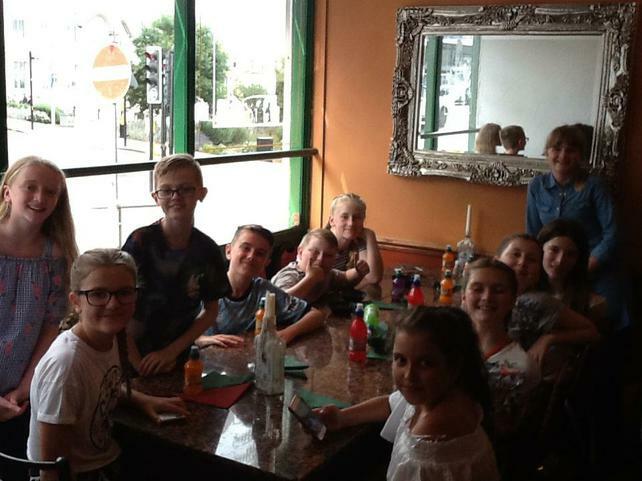 Well done to everyone and a special well done to our very own judges A.K.A. 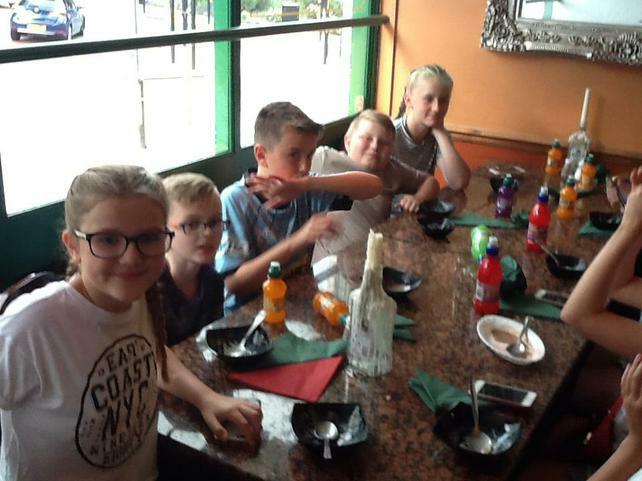 Simon, David, Amanda and Alisha! 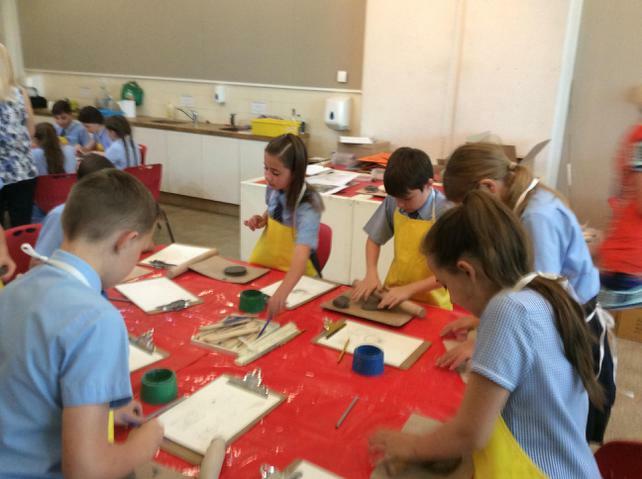 Class 5 have been very busy this week already. 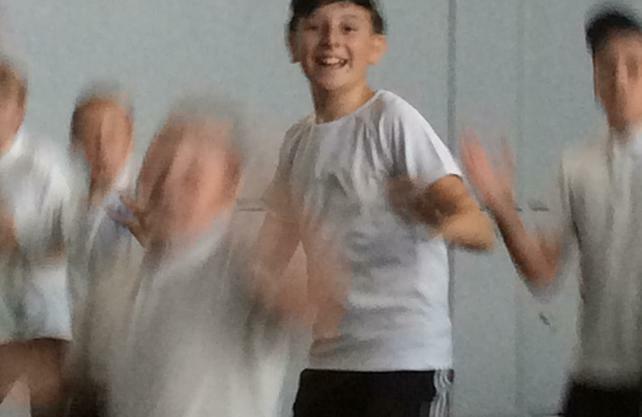 It is only Wednesday and we are spending our first morning in school all week. 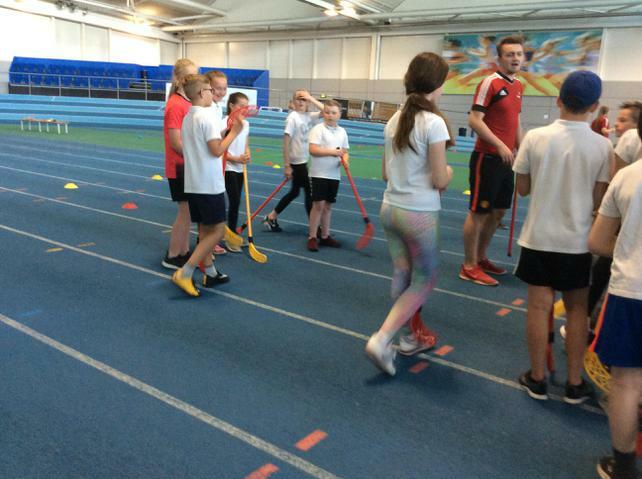 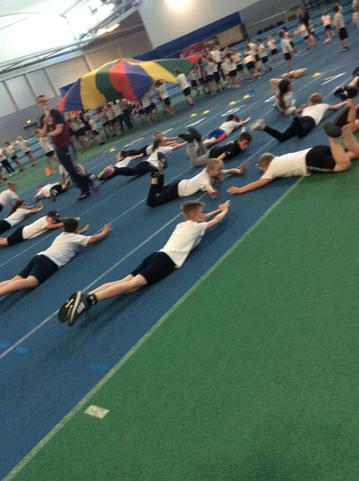 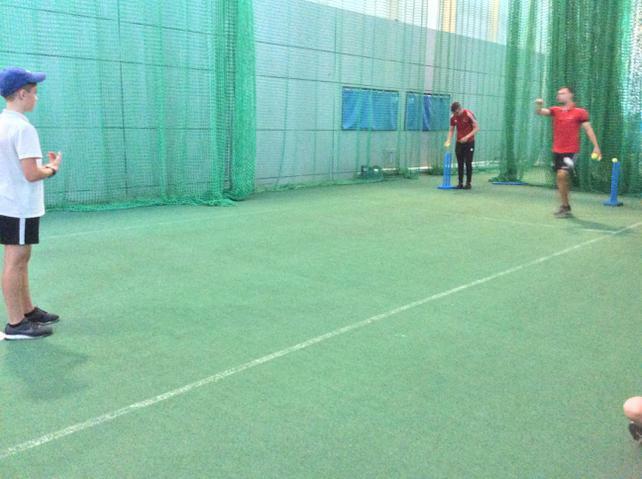 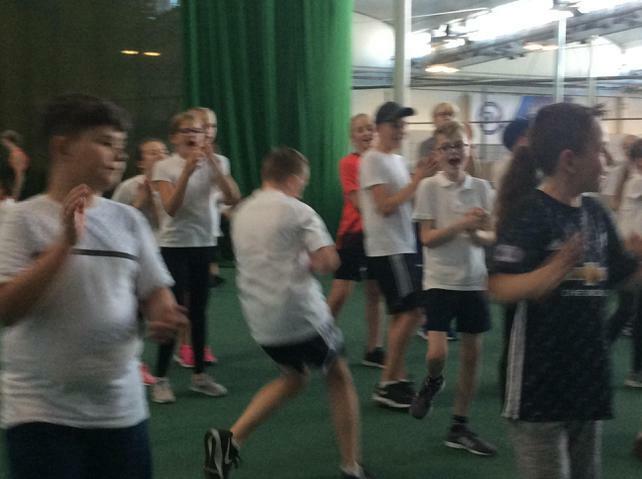 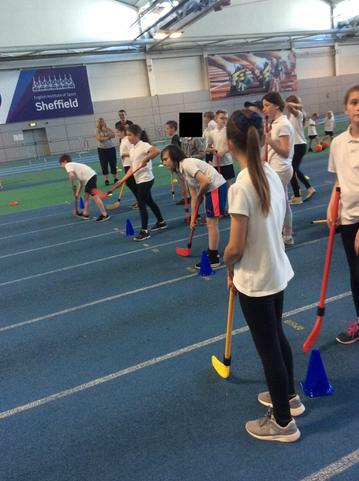 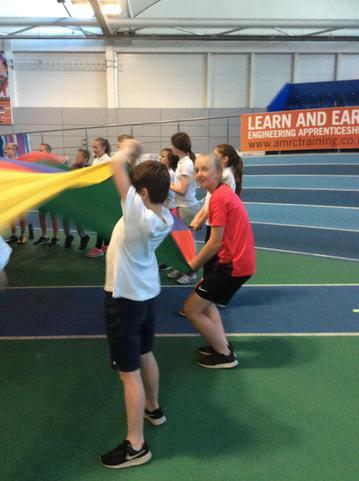 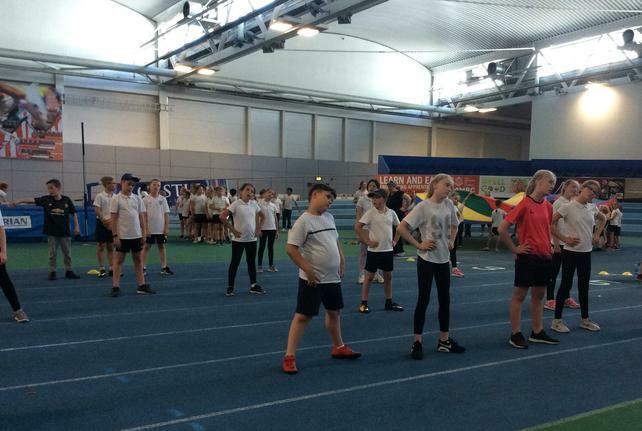 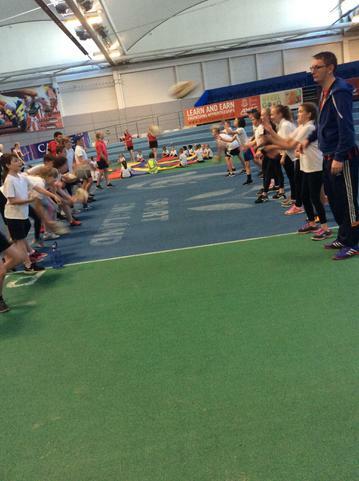 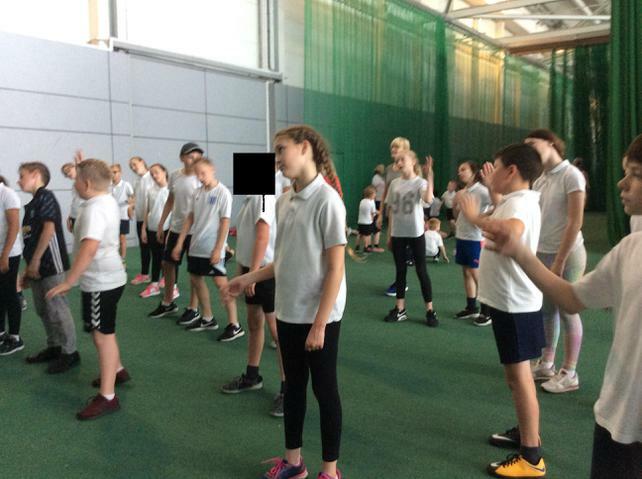 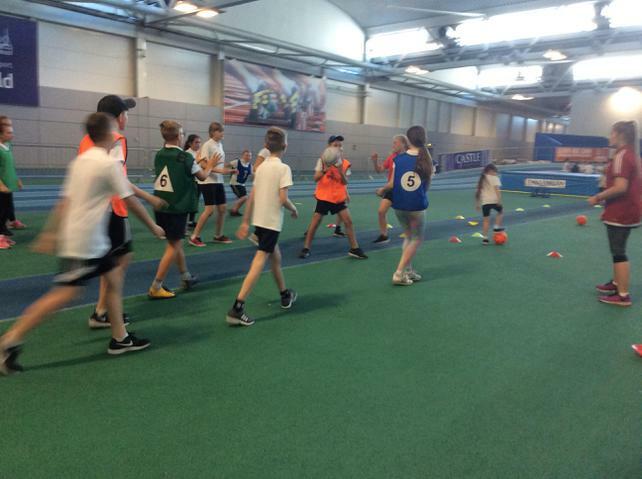 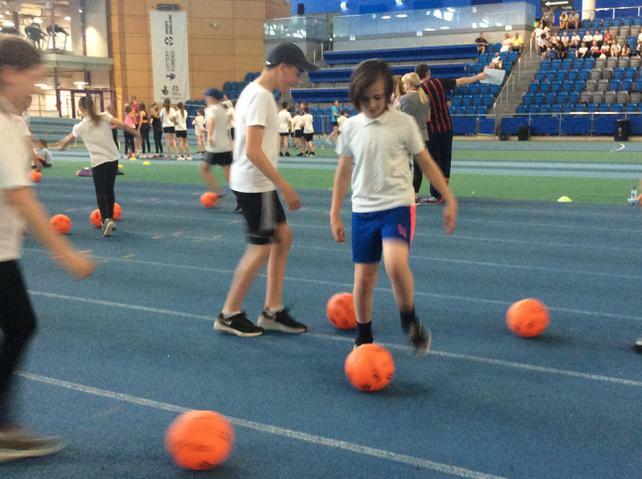 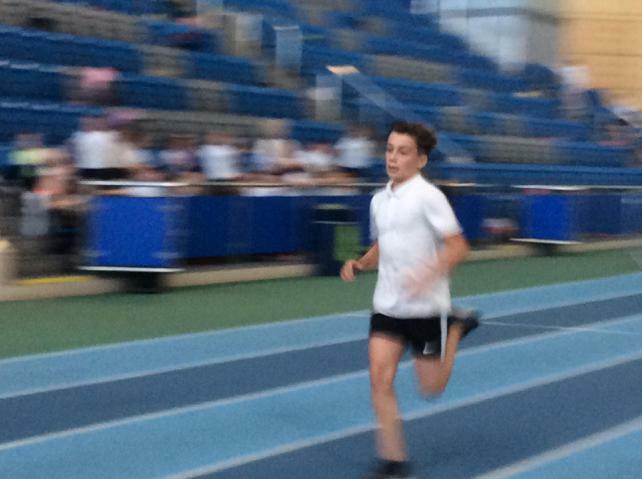 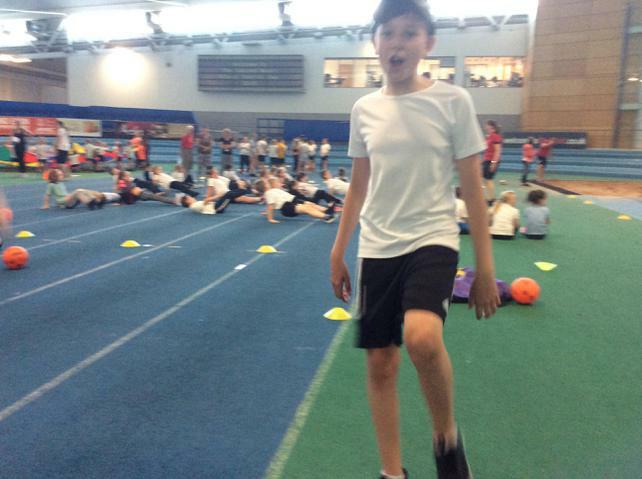 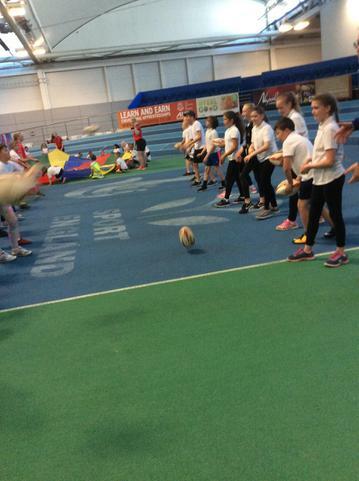 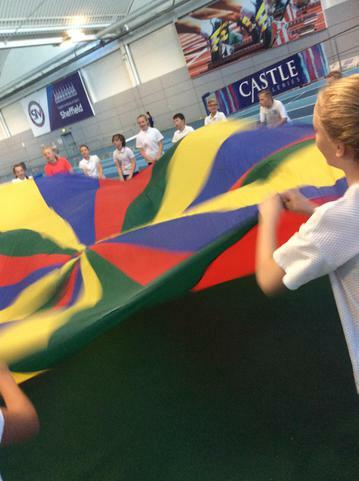 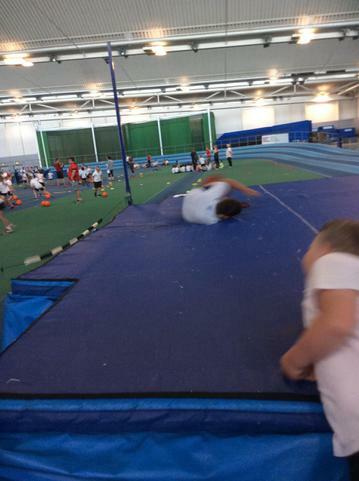 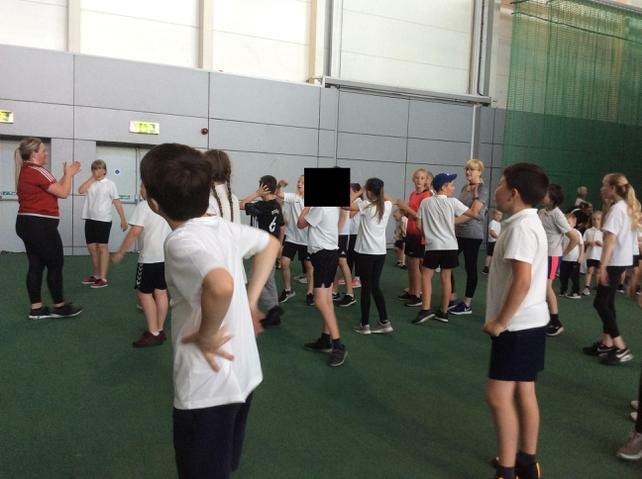 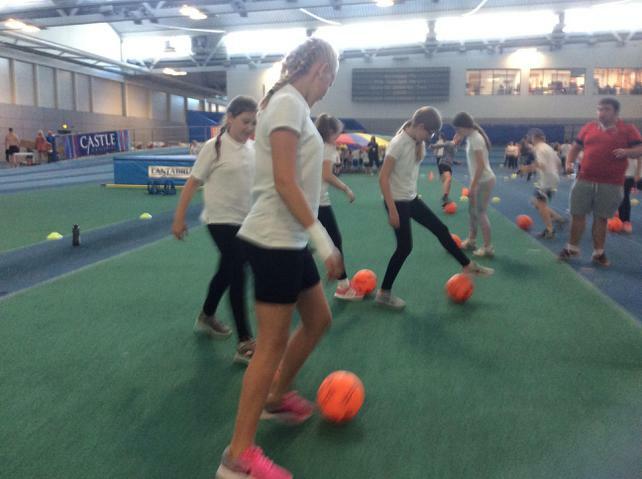 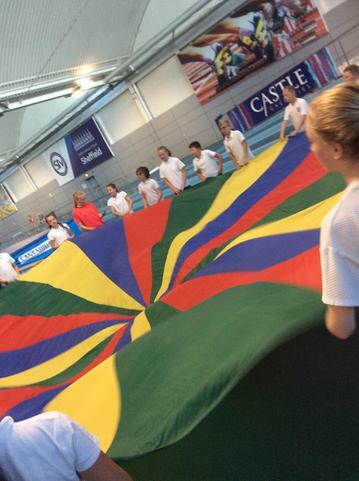 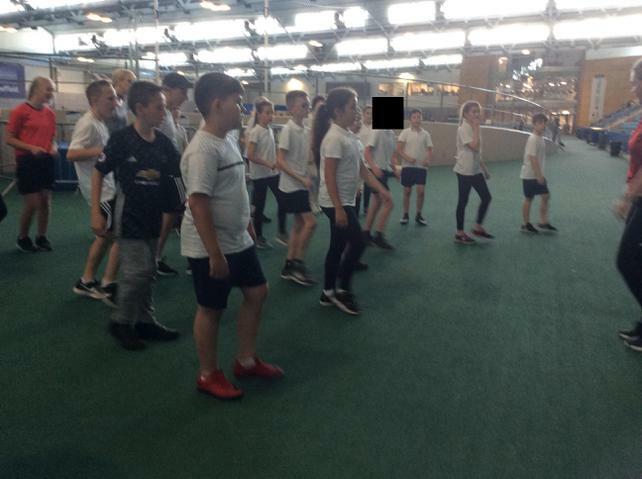 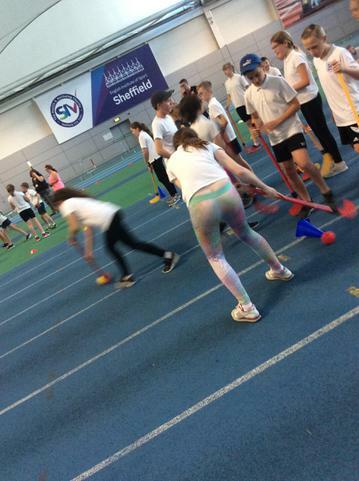 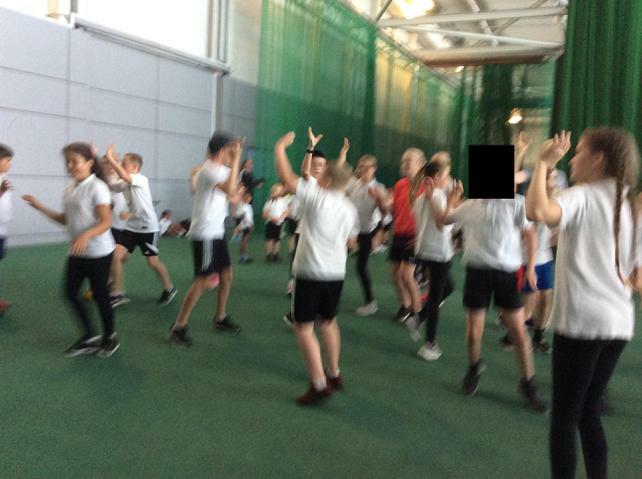 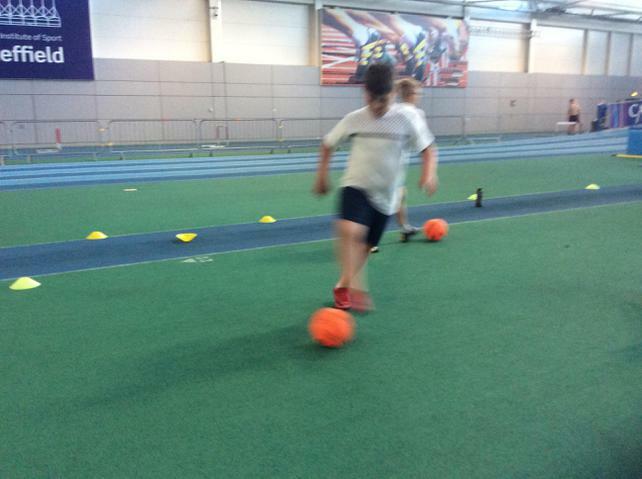 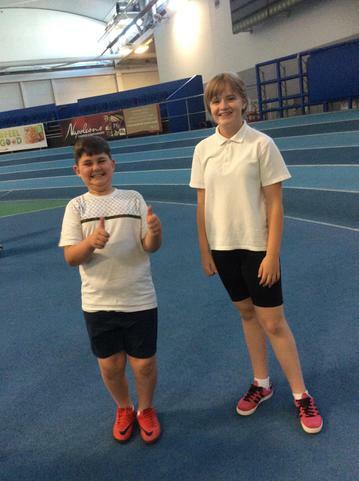 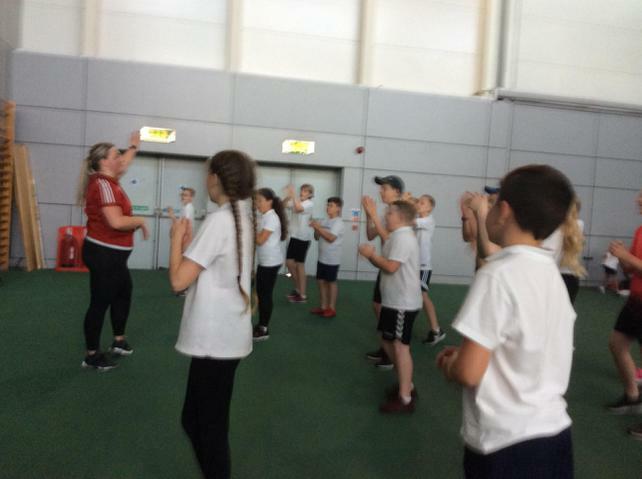 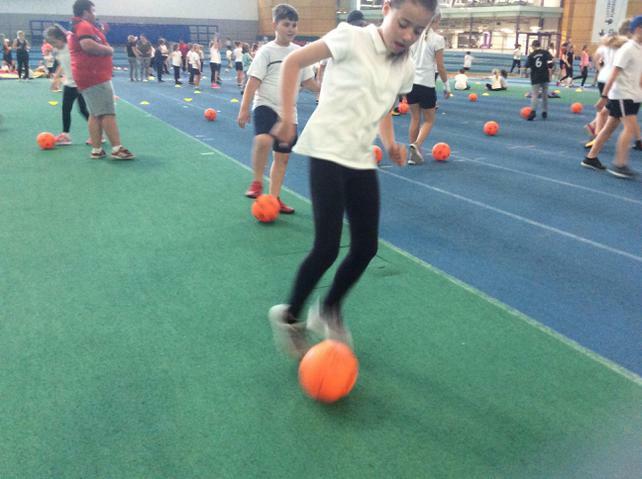 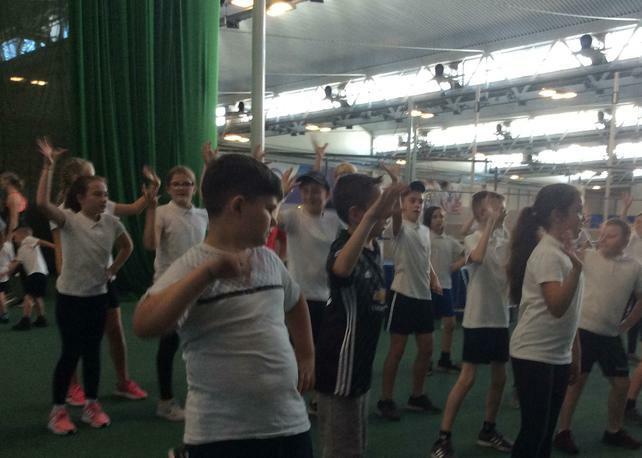 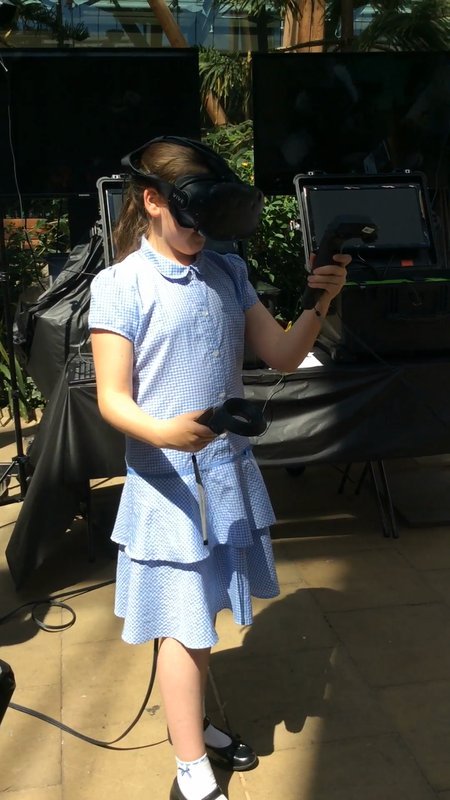 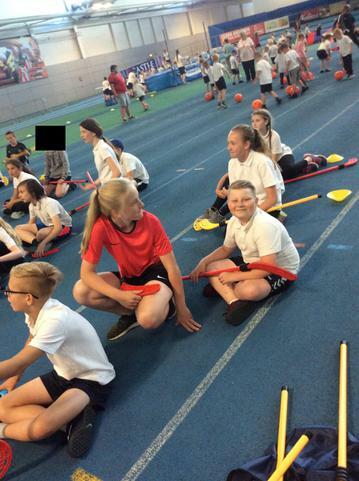 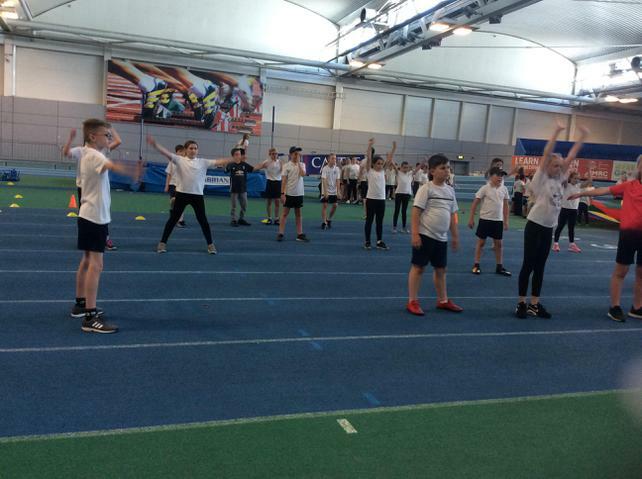 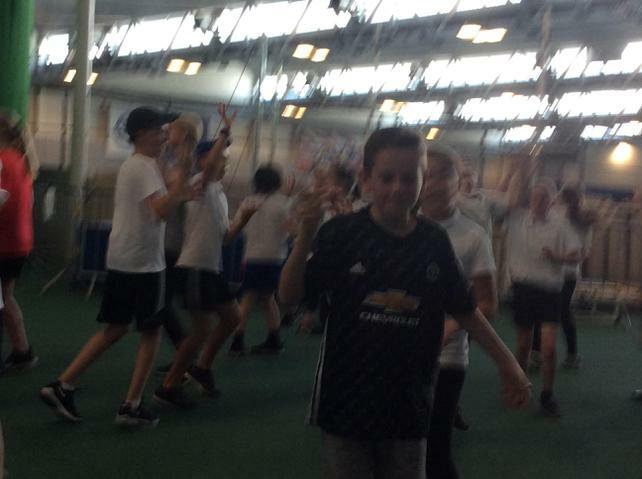 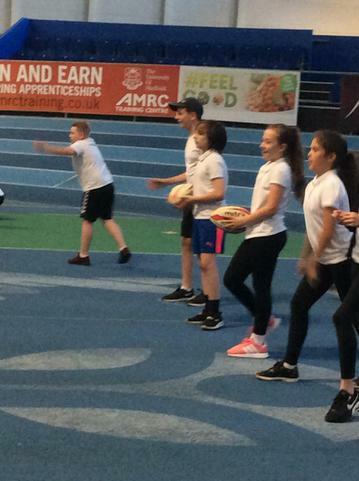 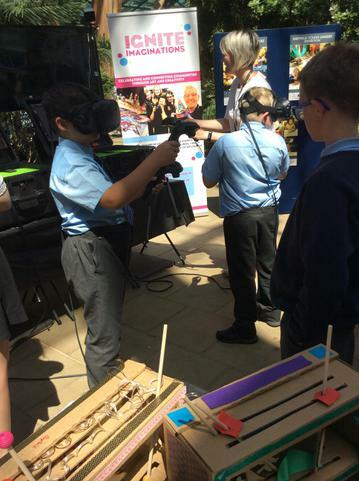 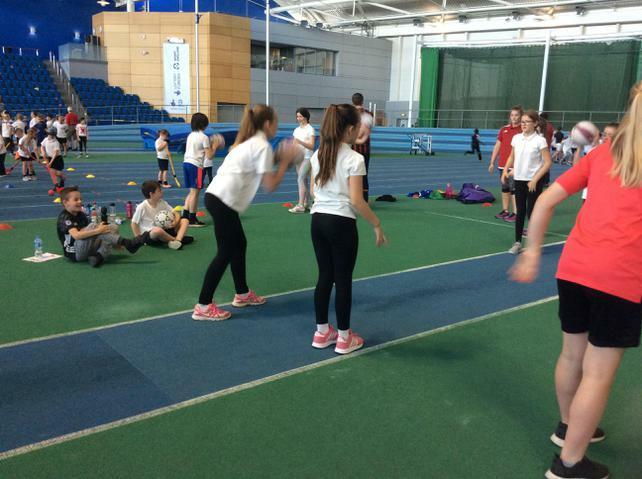 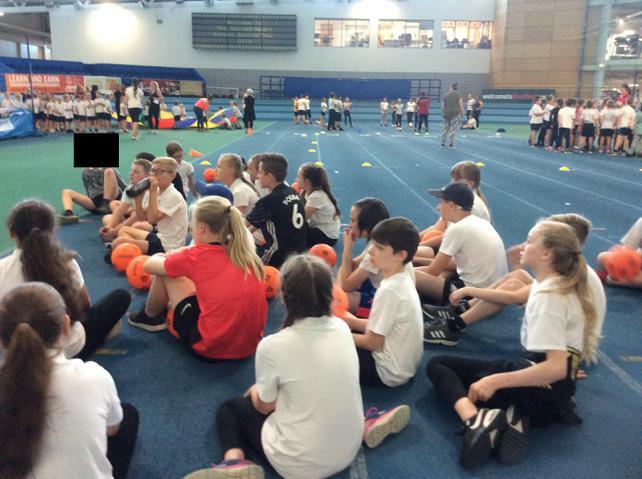 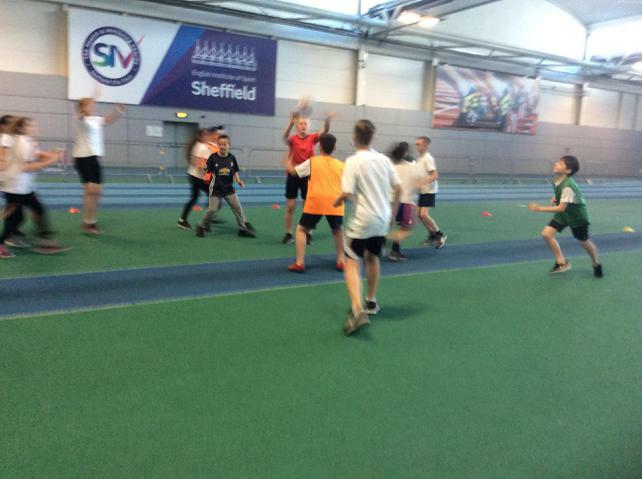 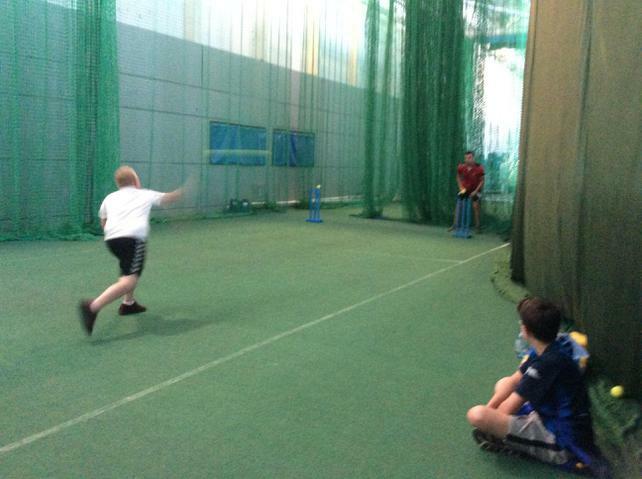 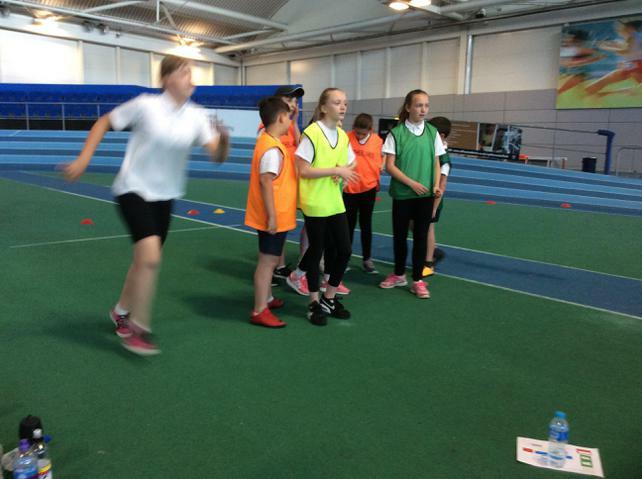 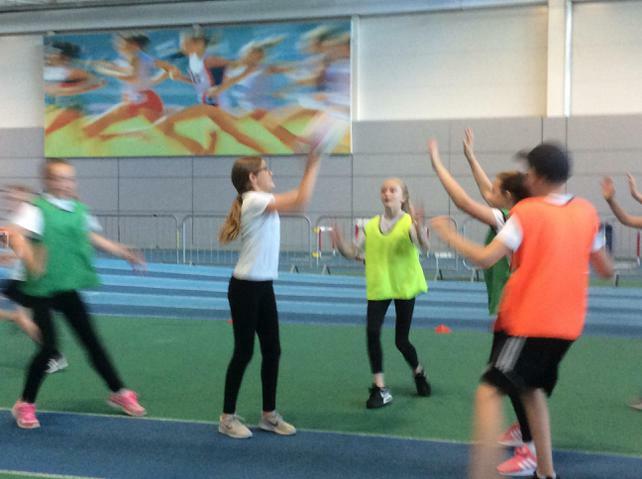 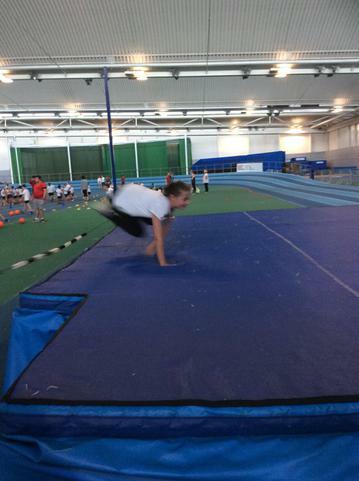 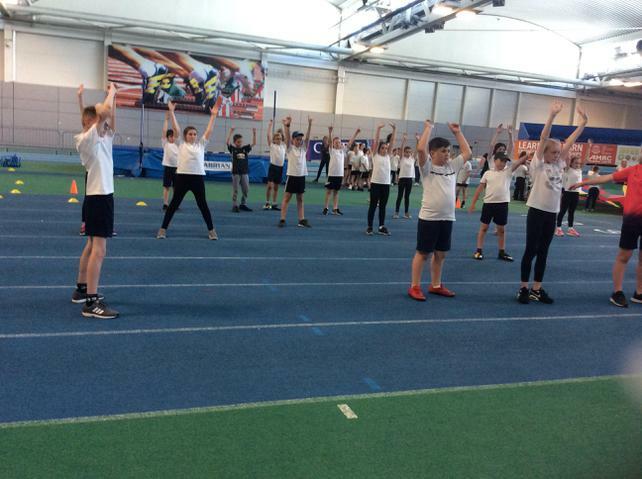 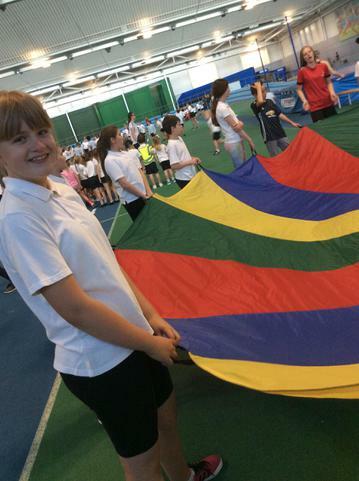 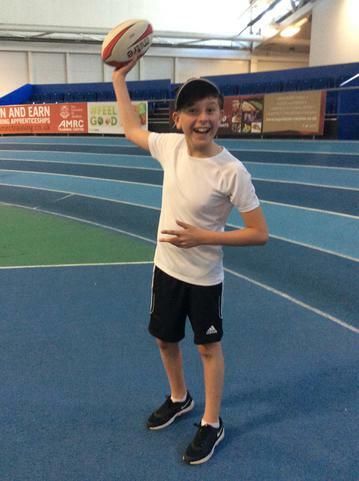 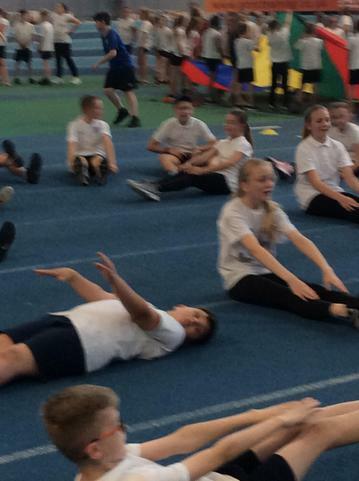 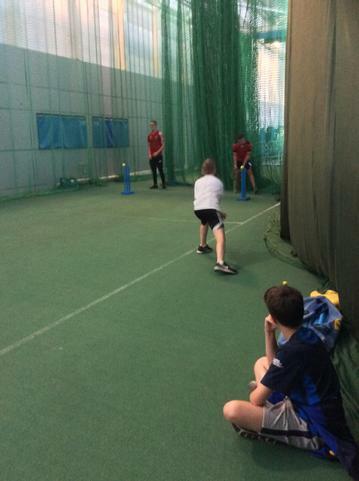 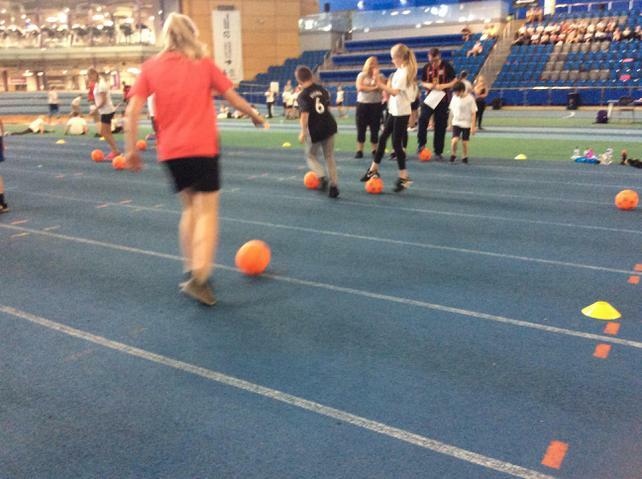 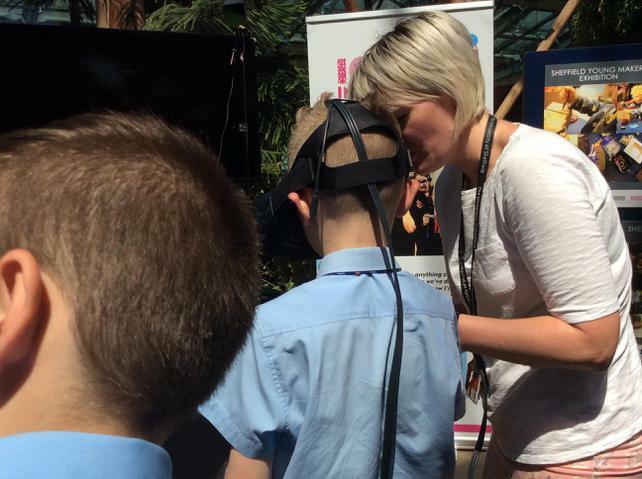 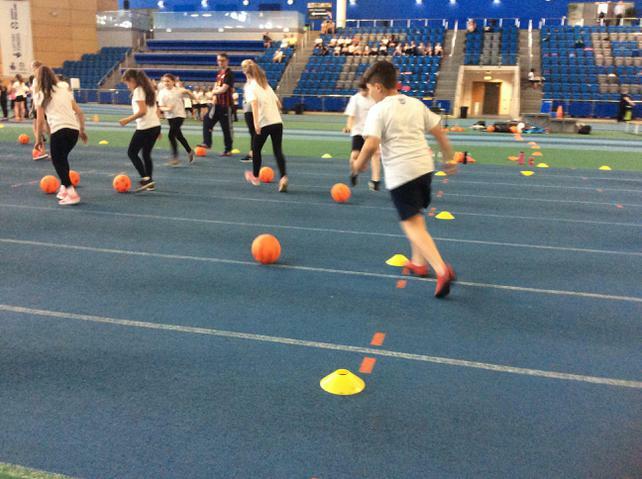 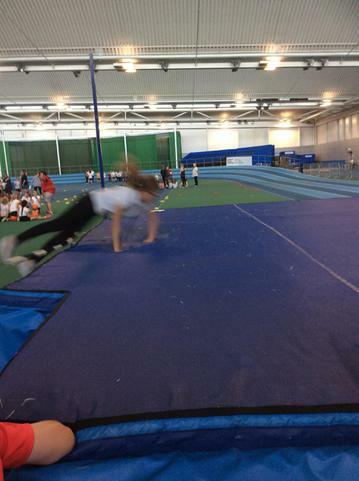 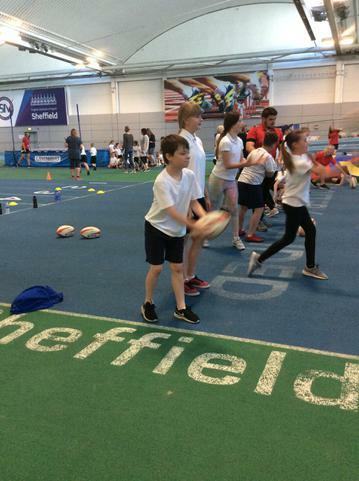 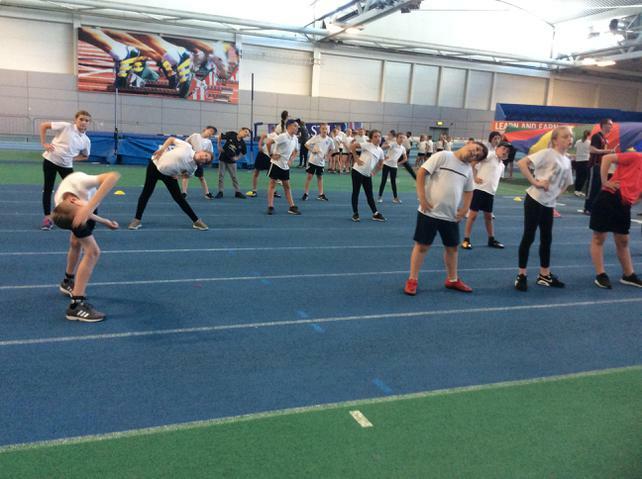 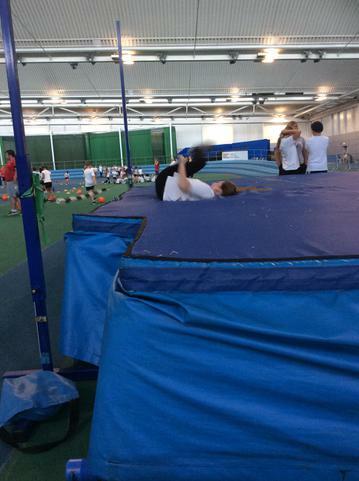 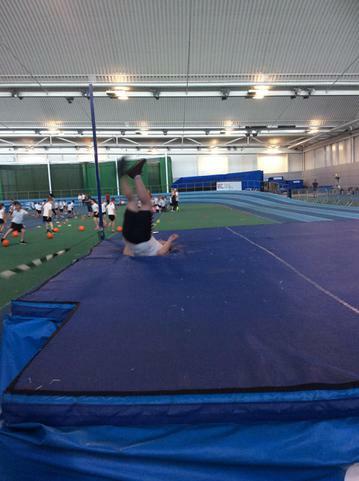 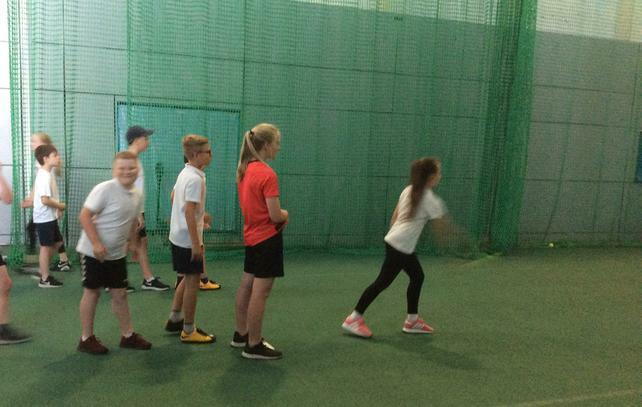 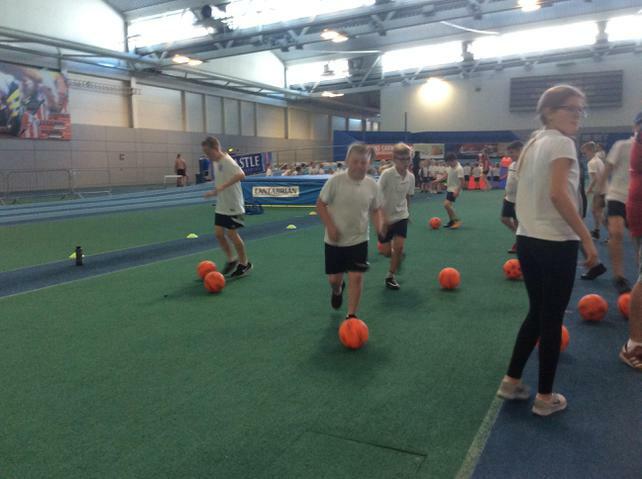 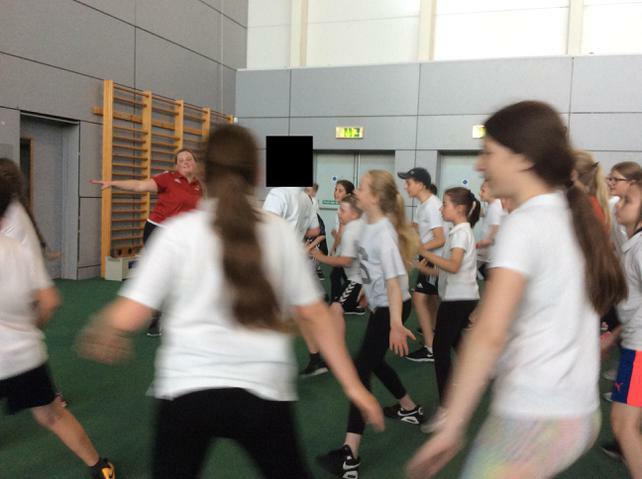 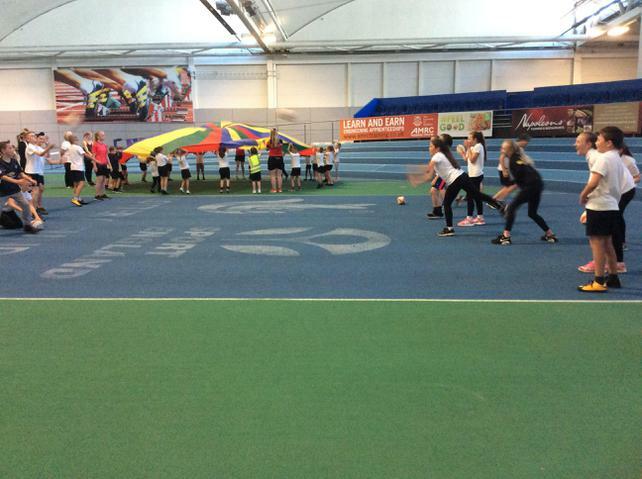 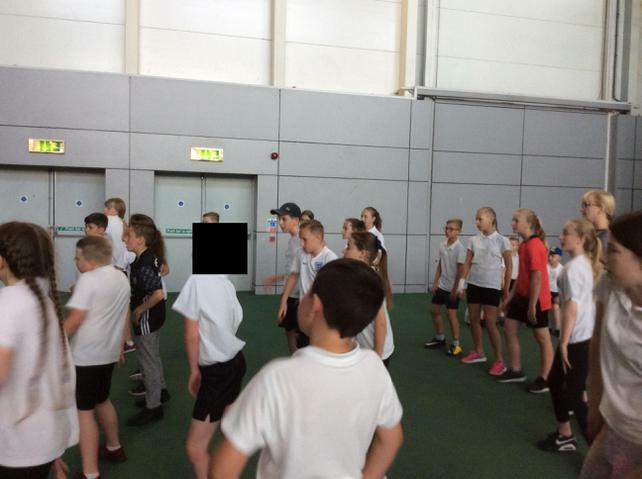 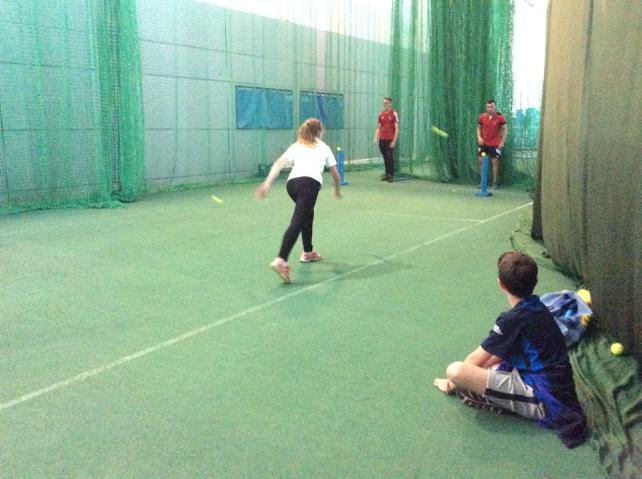 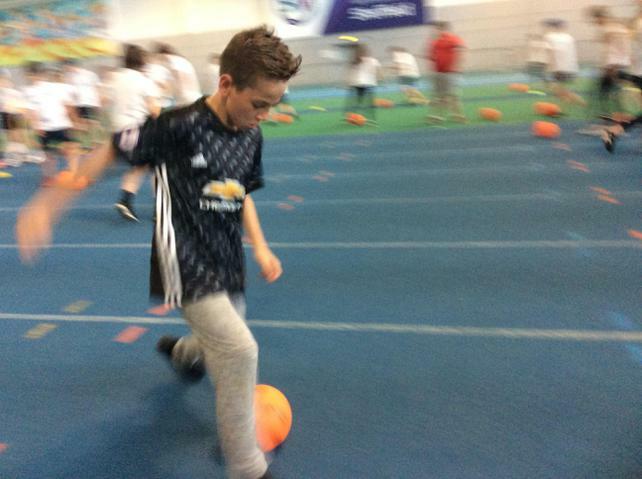 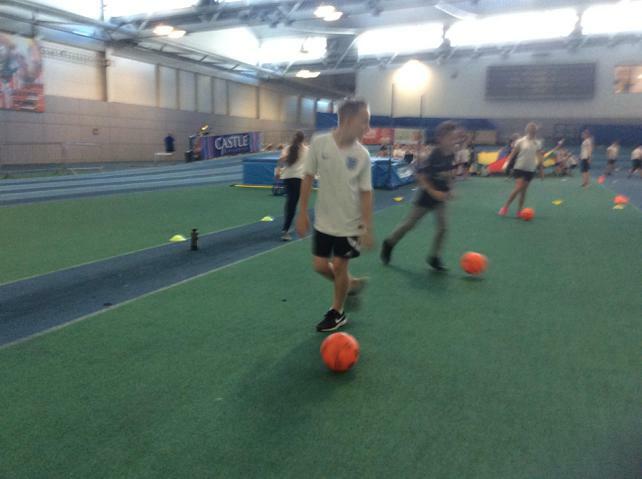 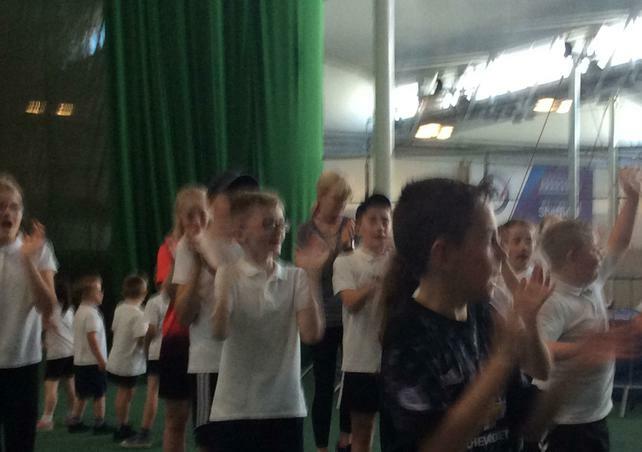 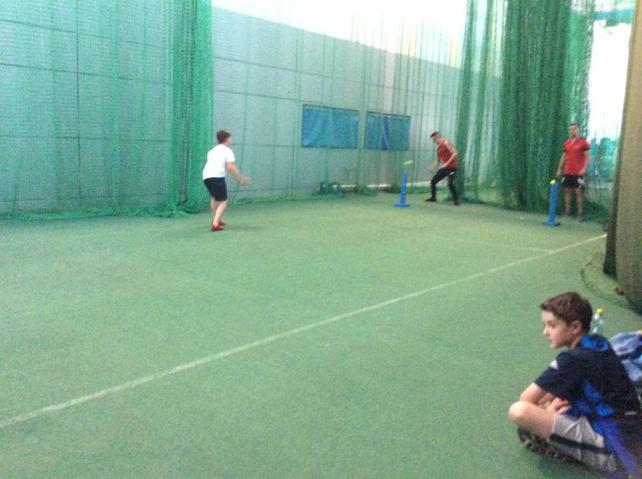 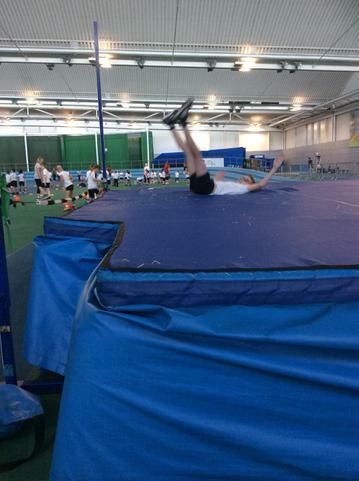 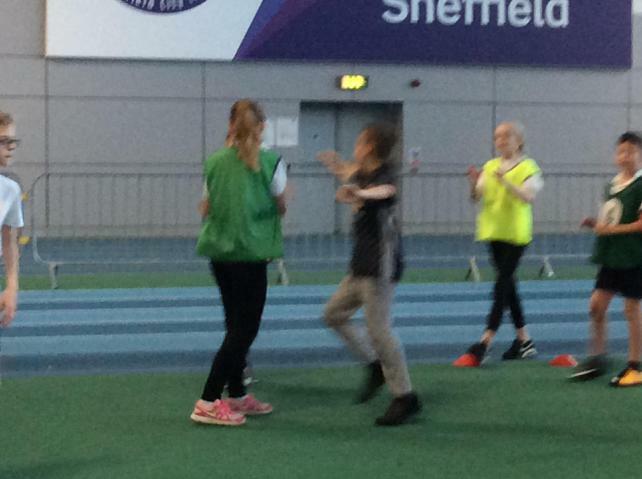 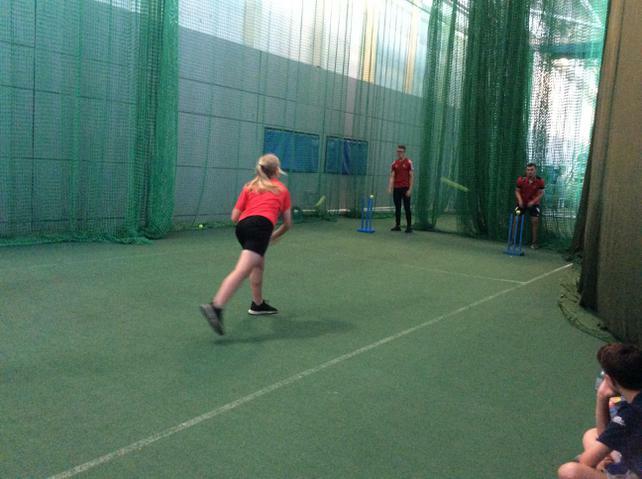 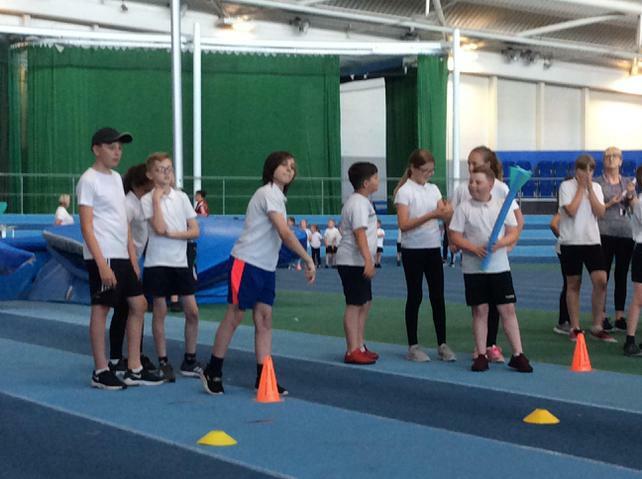 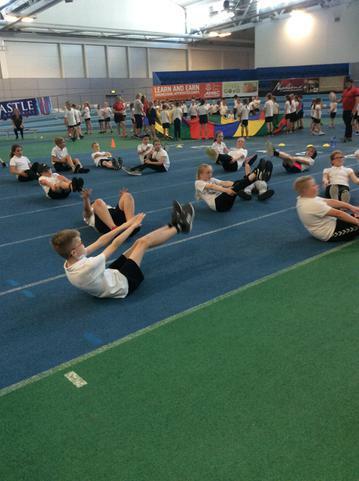 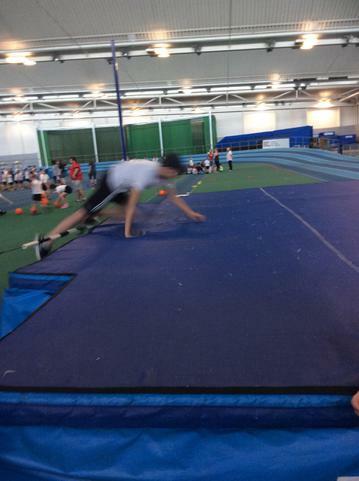 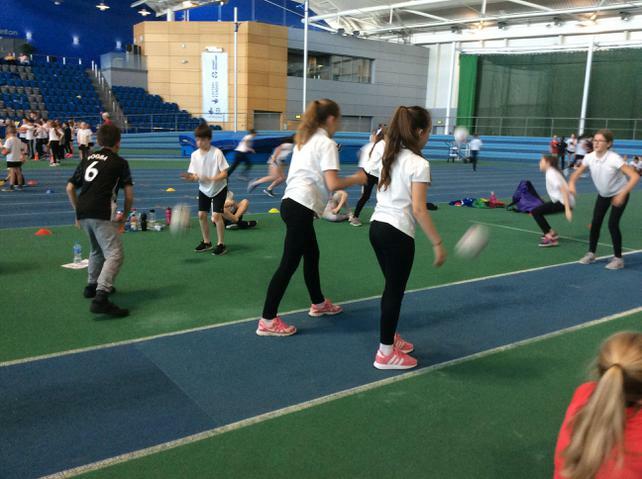 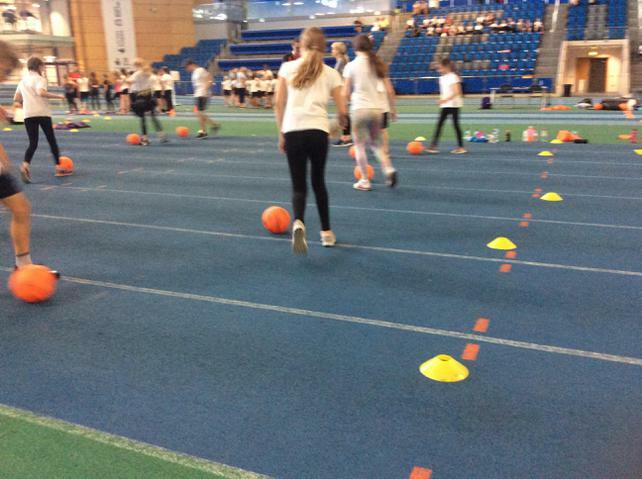 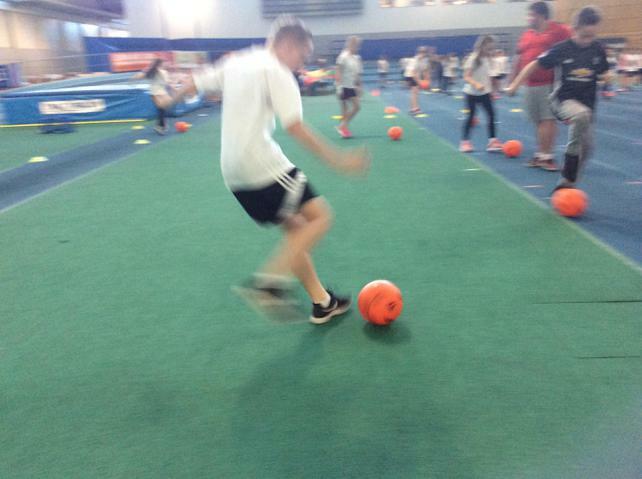 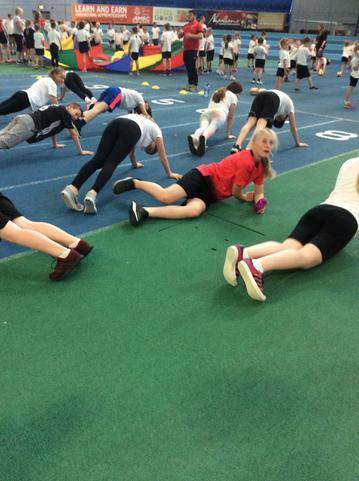 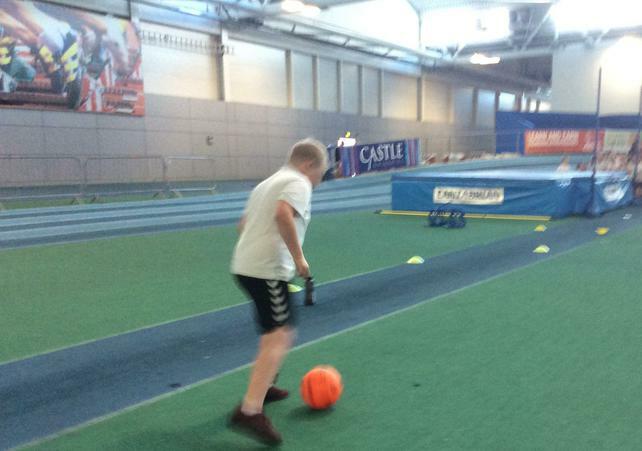 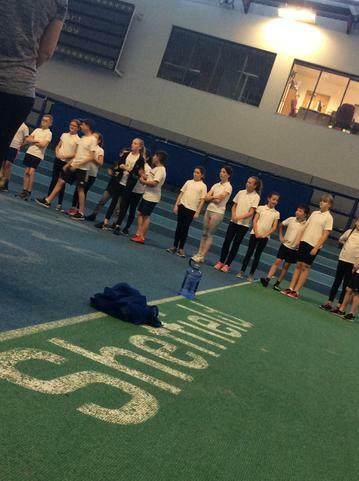 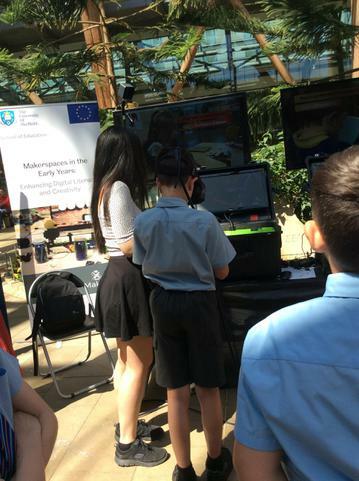 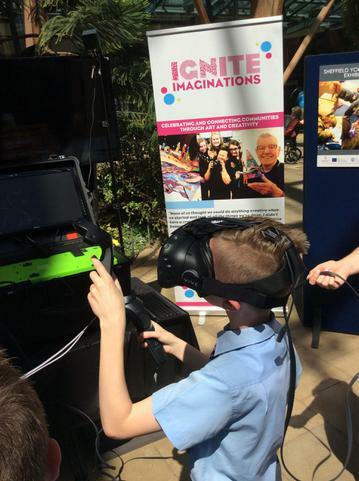 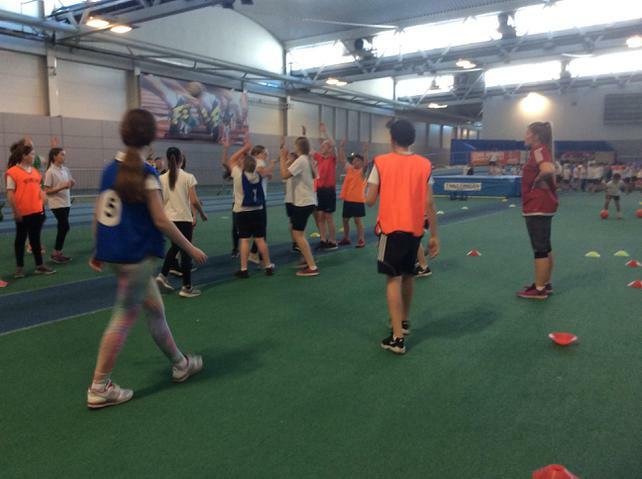 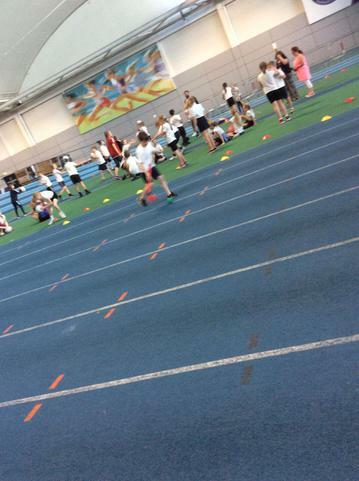 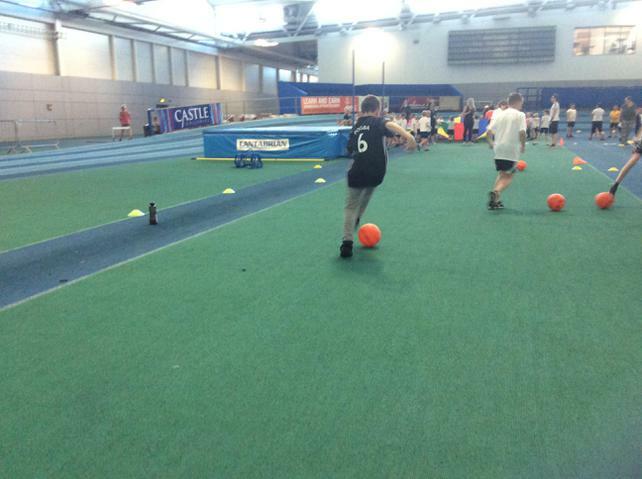 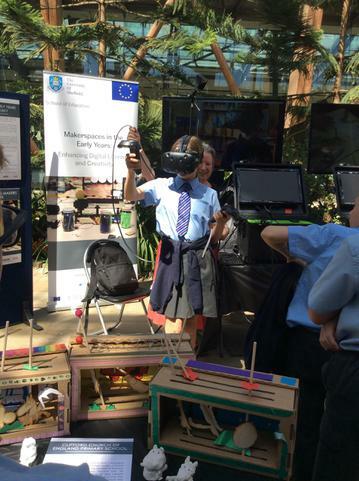 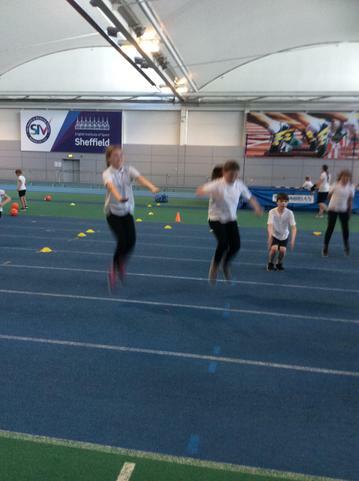 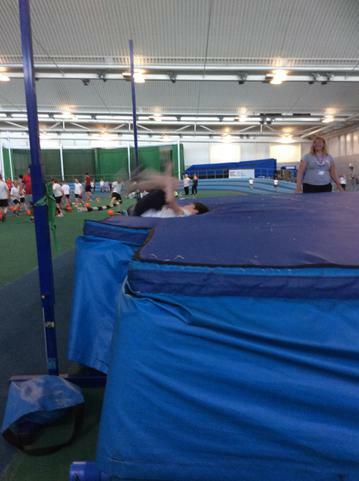 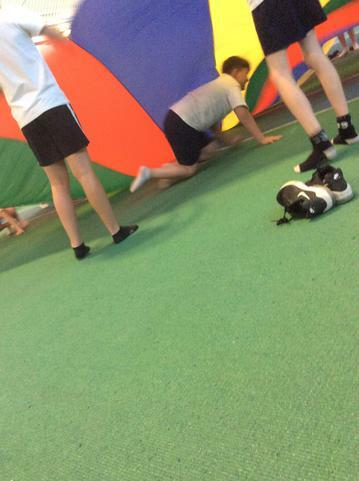 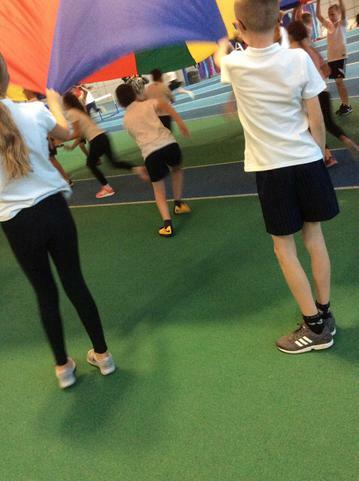 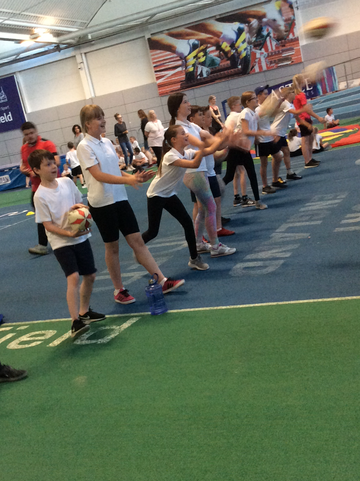 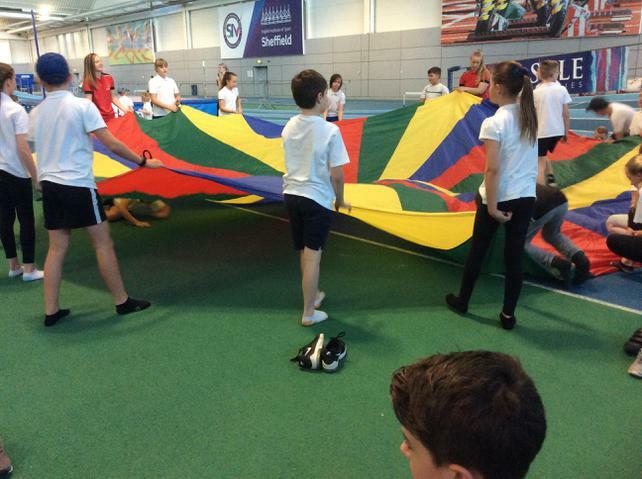 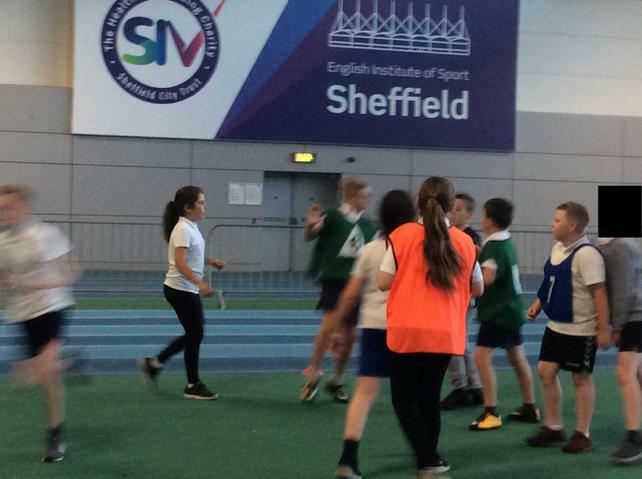 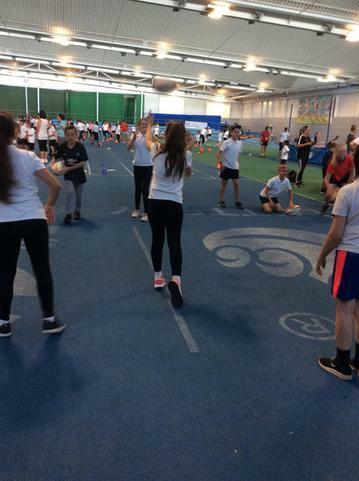 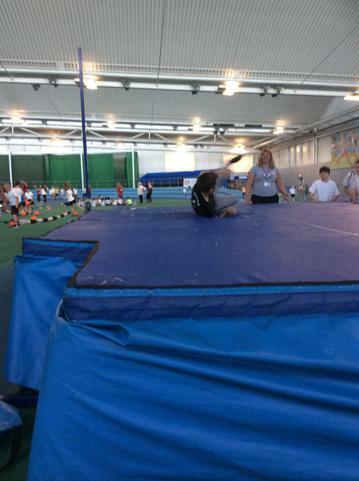 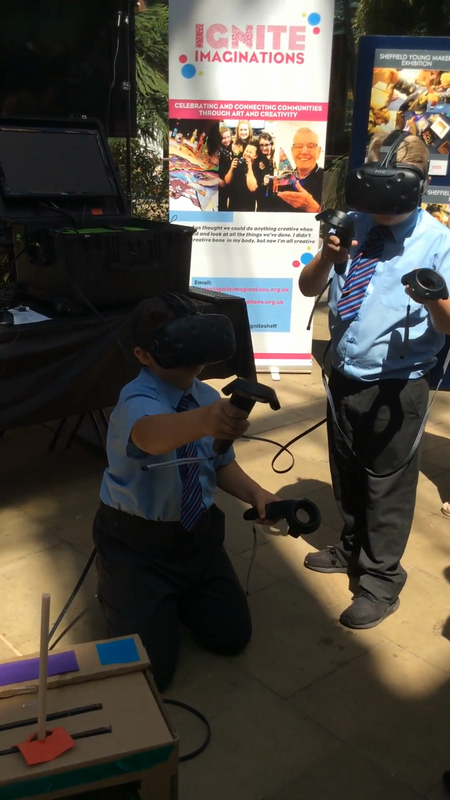 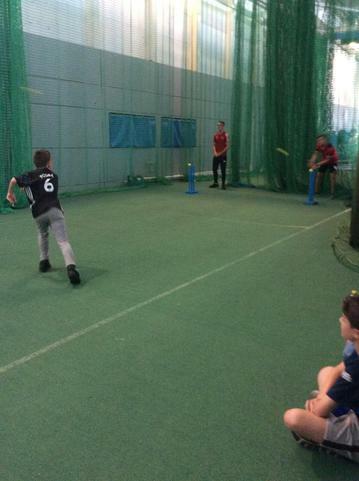 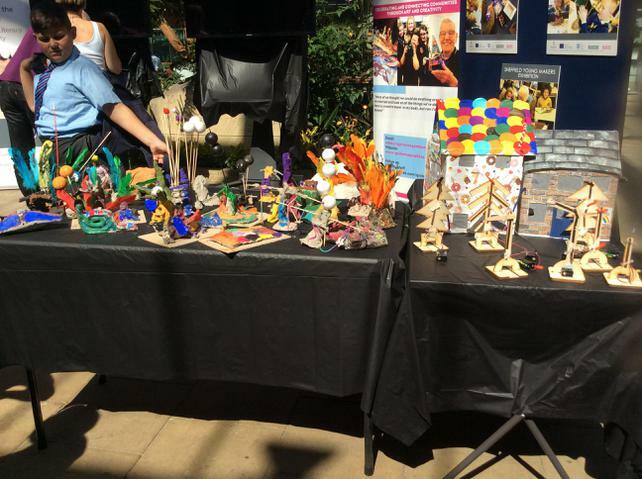 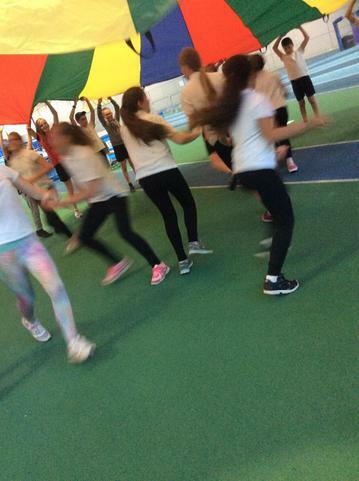 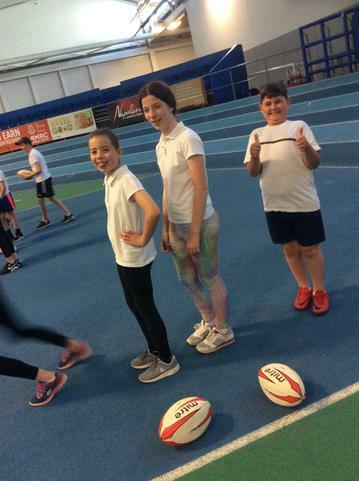 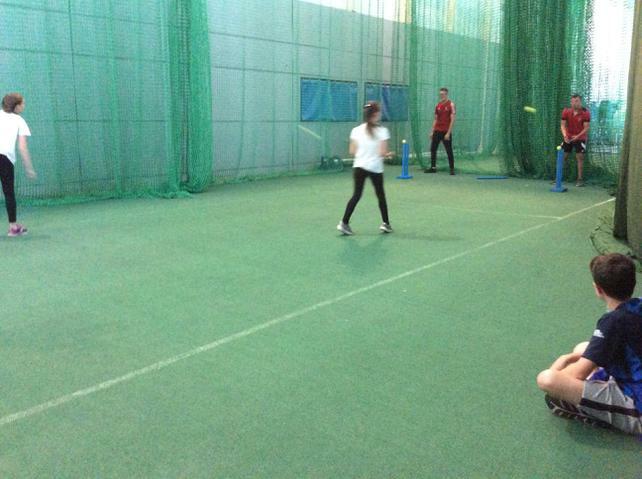 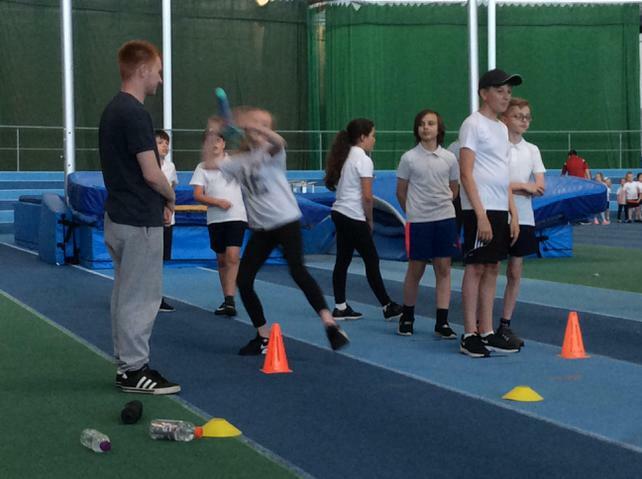 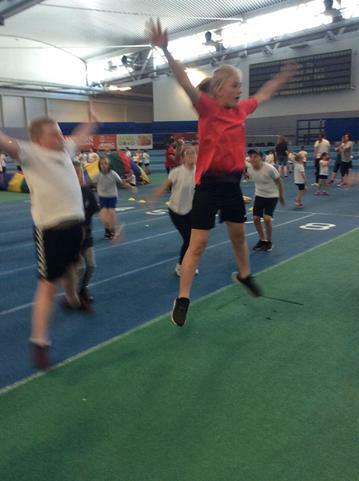 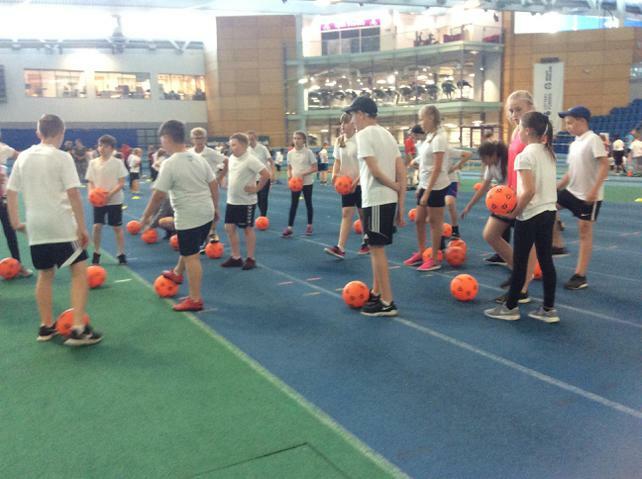 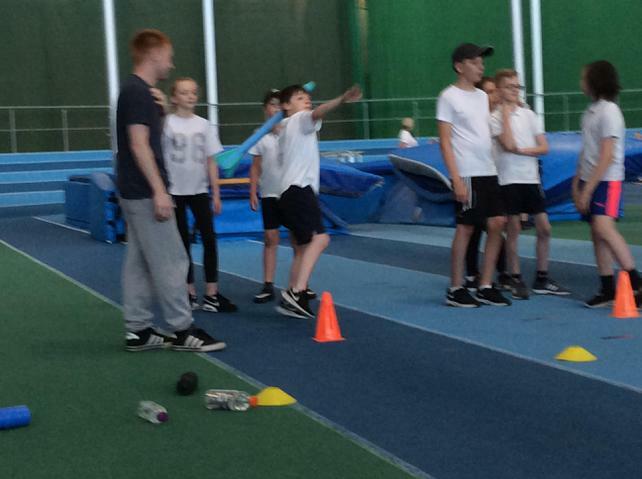 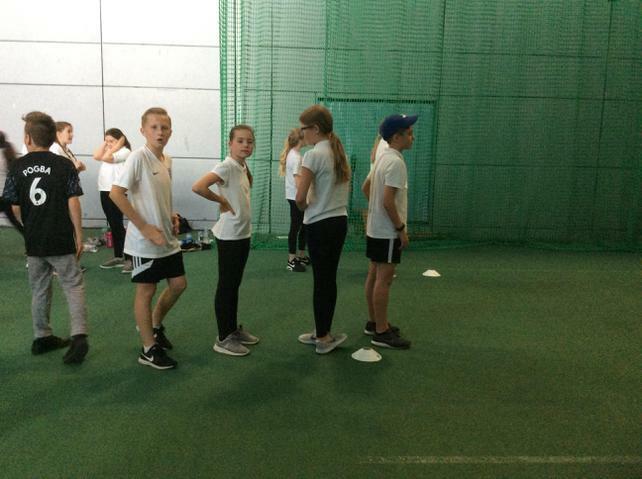 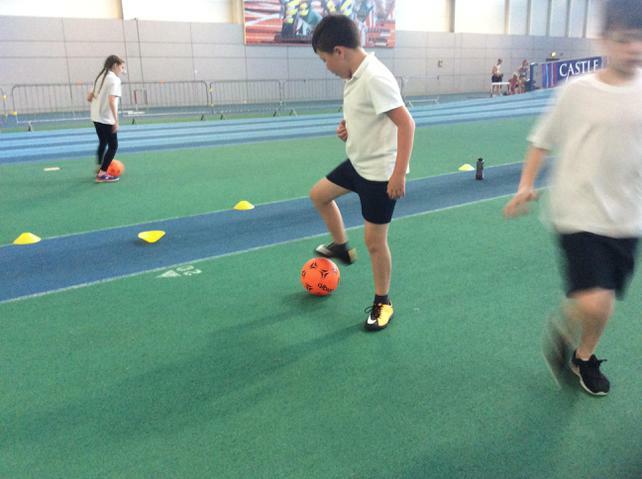 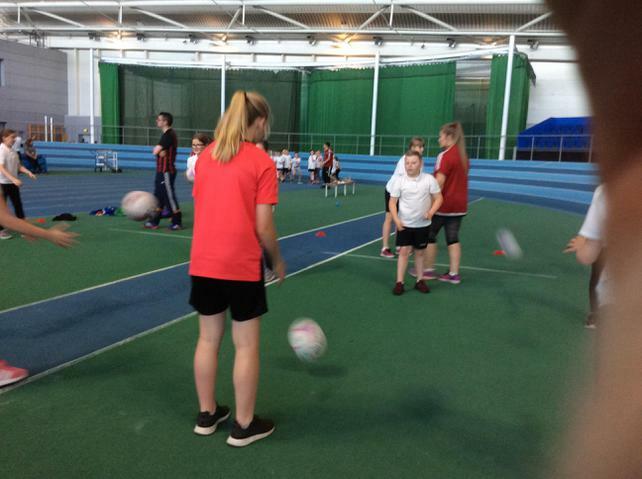 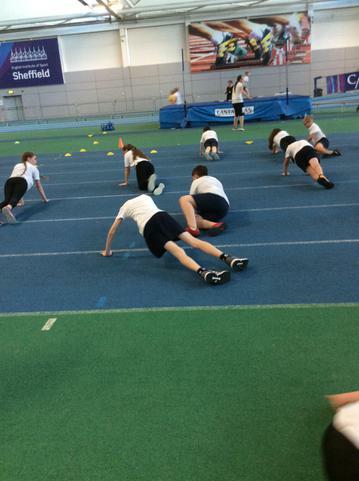 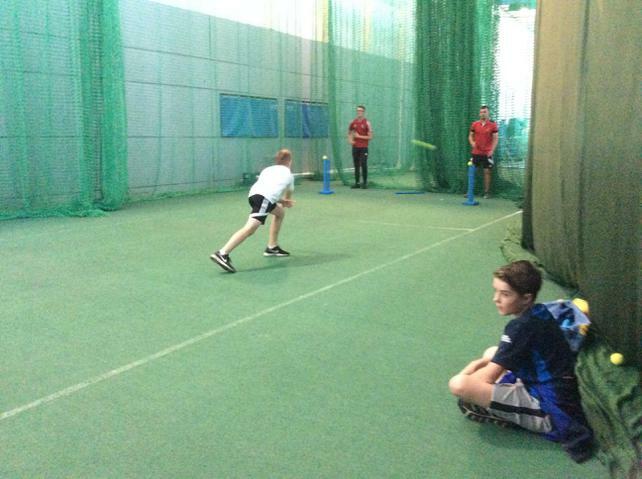 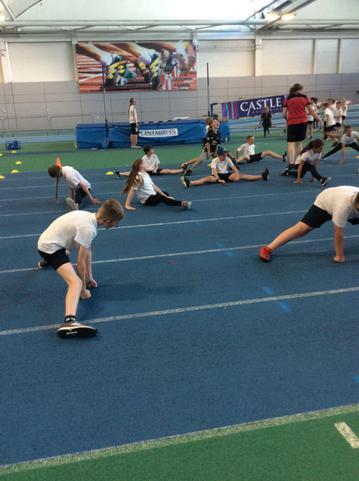 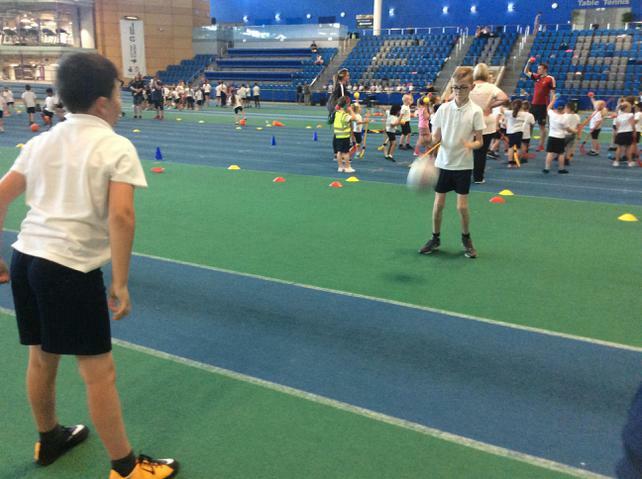 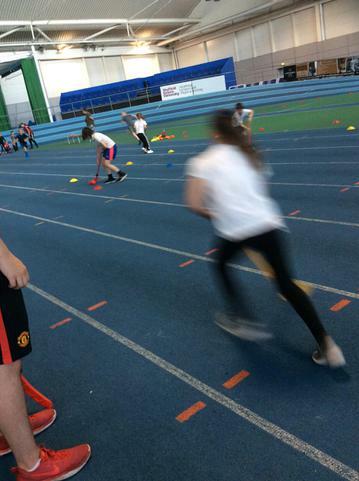 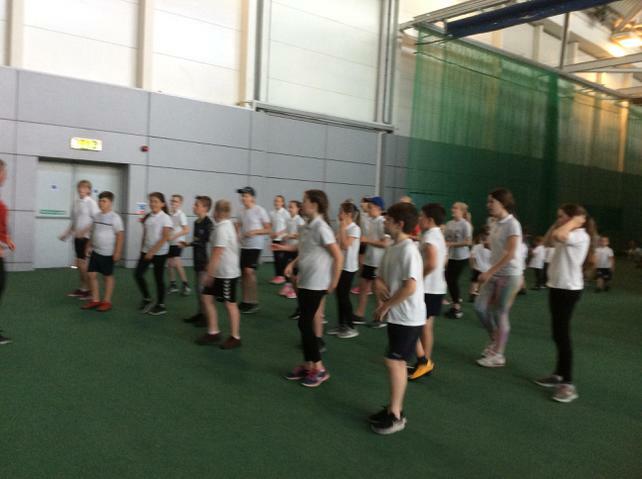 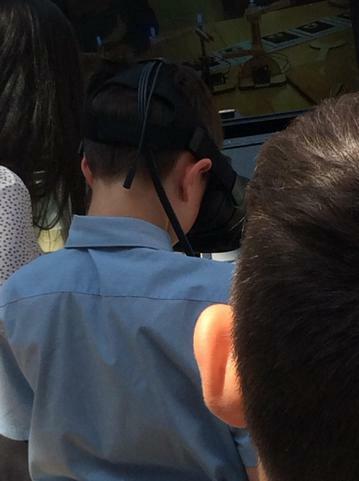 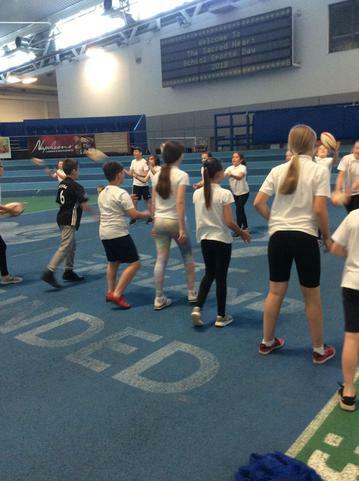 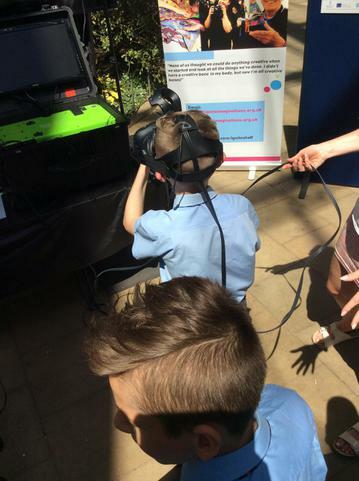 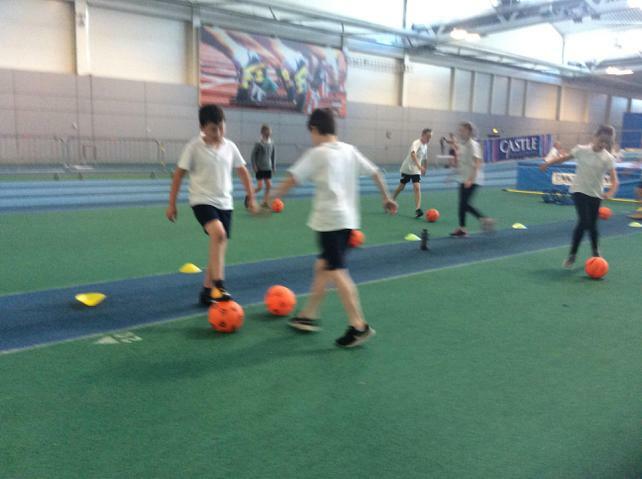 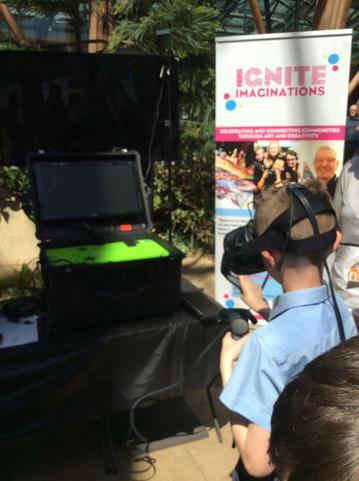 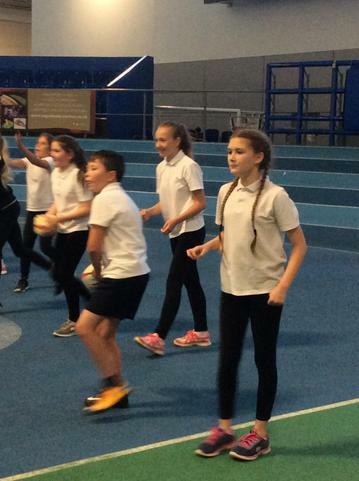 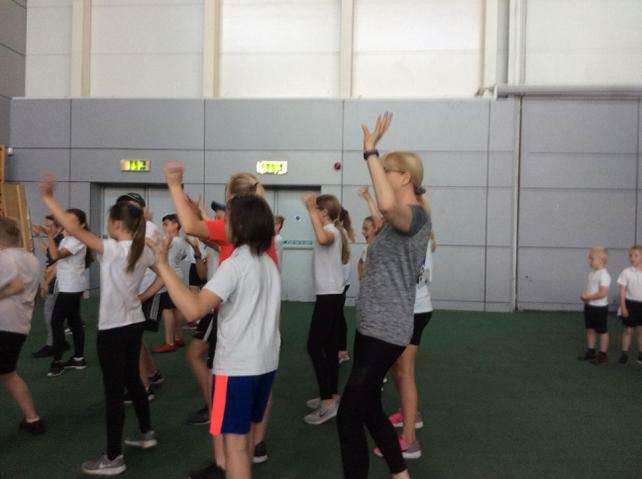 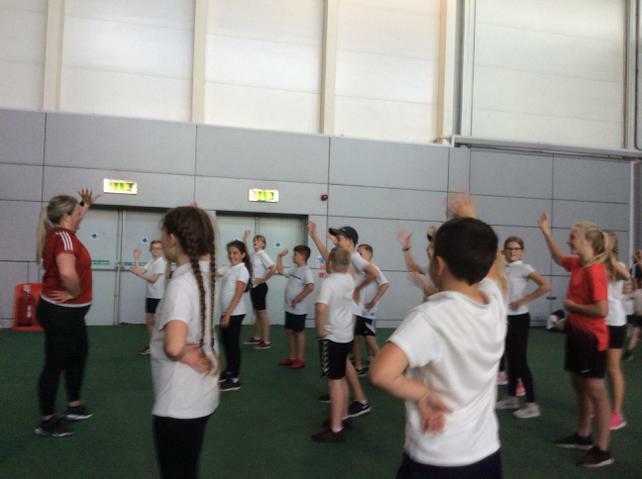 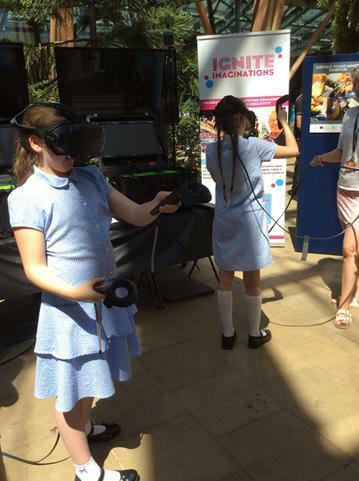 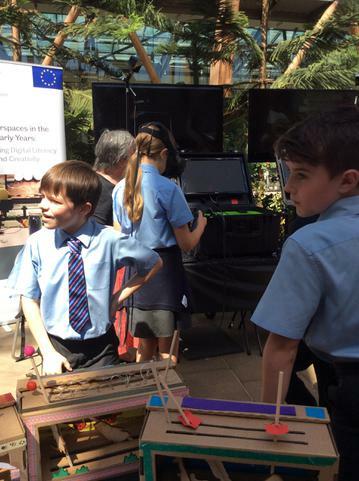 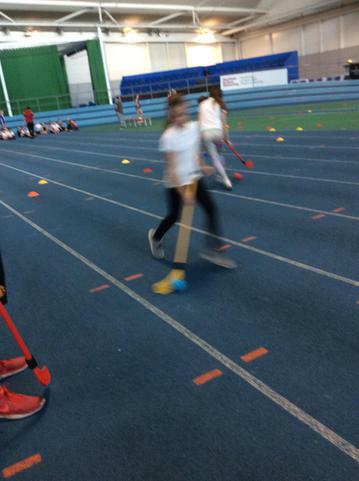 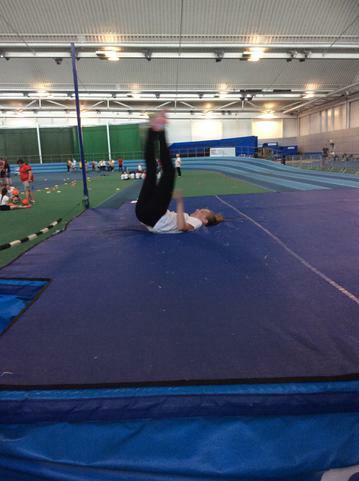 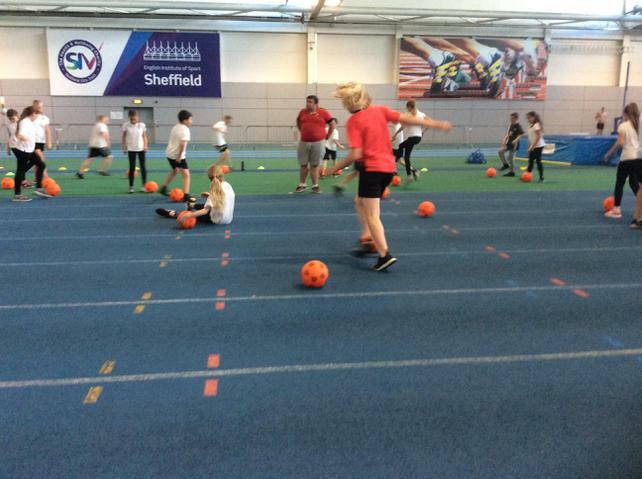 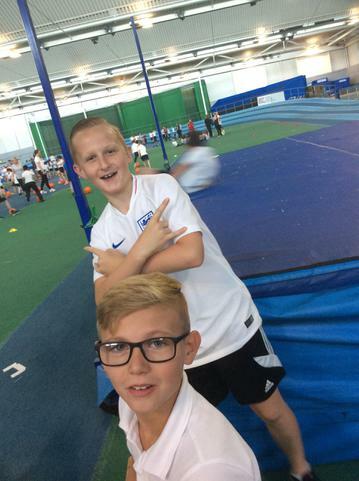 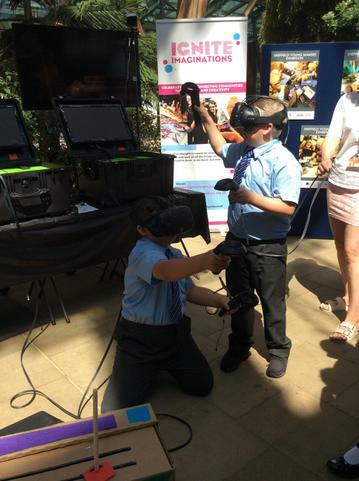 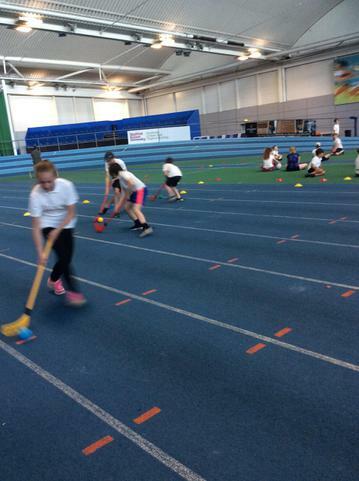 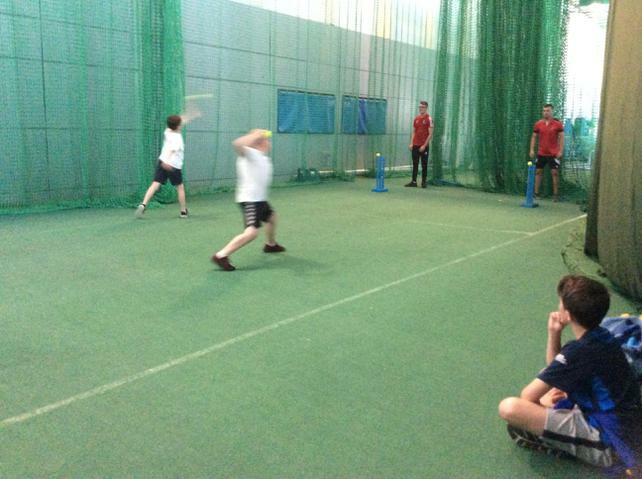 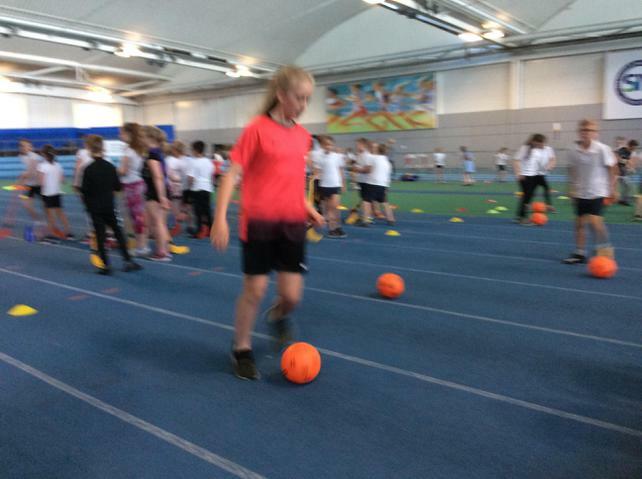 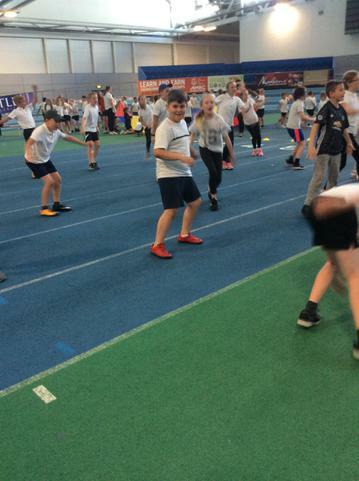 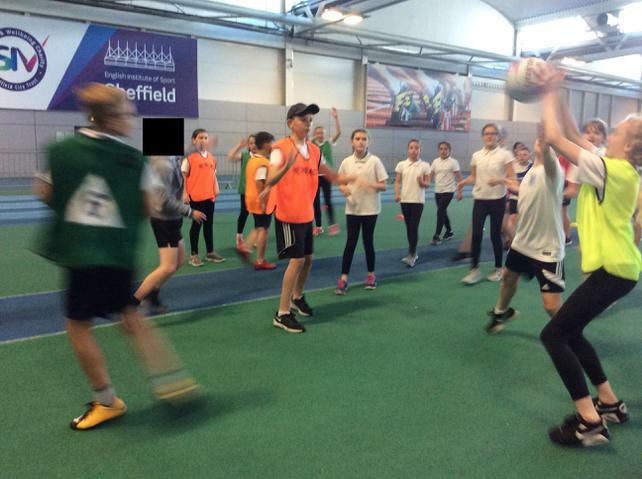 On Monday we had a fantastic time at the EIS in Sheffield trying and sampling out different sports and having a go at a lot of sports we may never had the chance to try. 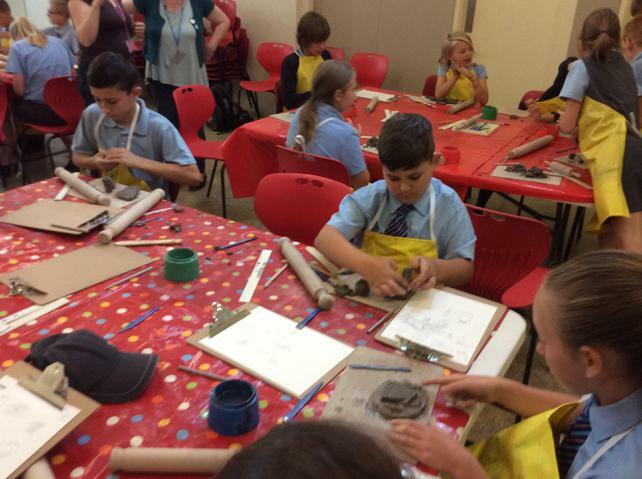 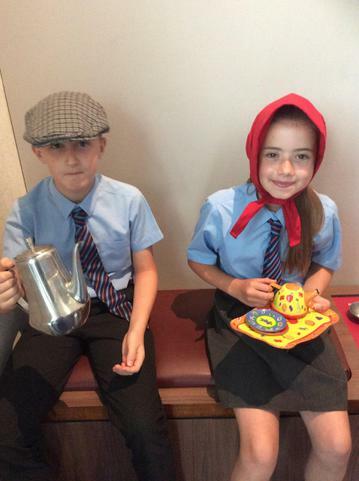 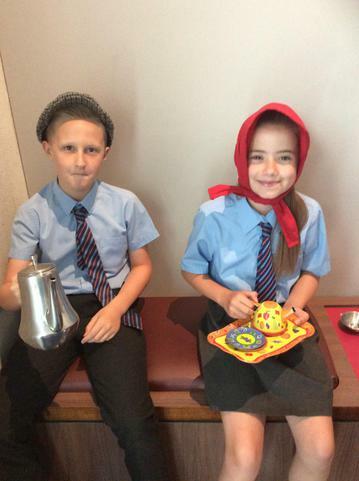 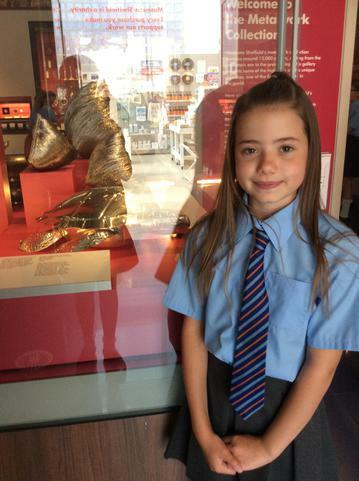 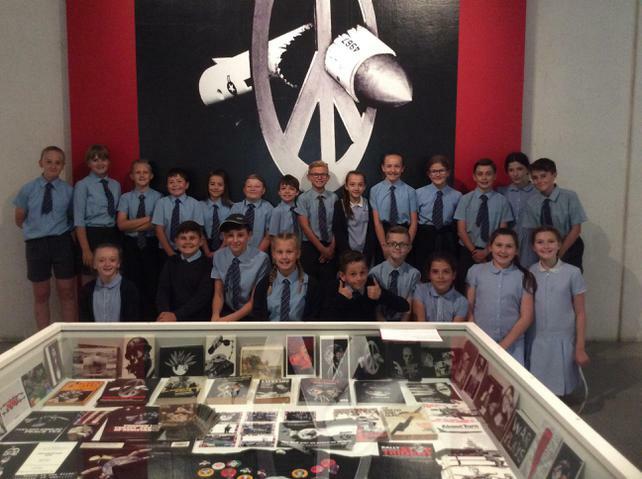 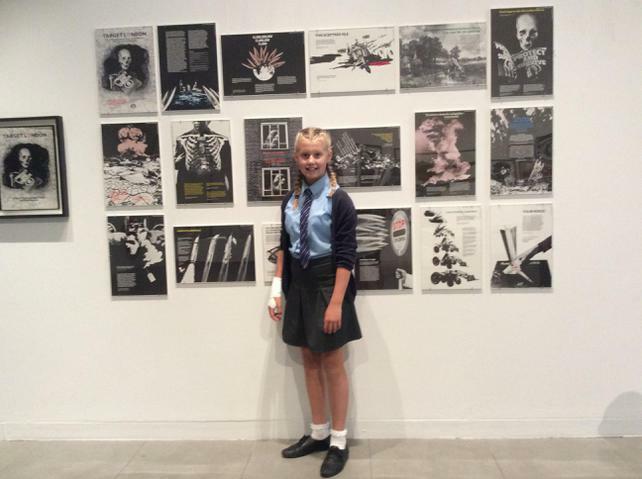 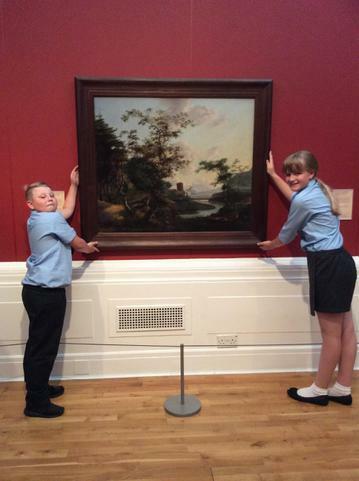 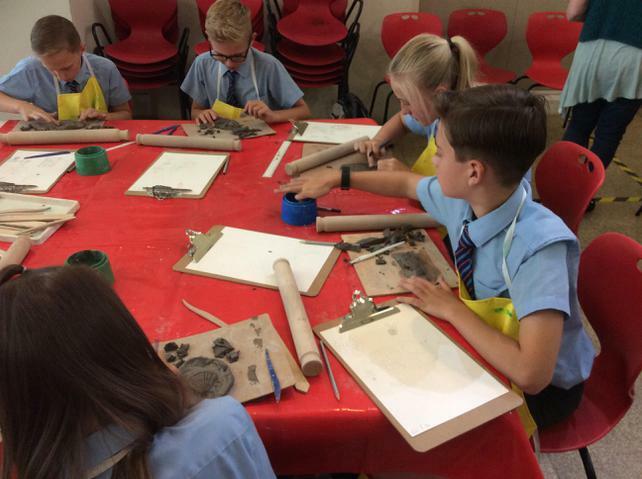 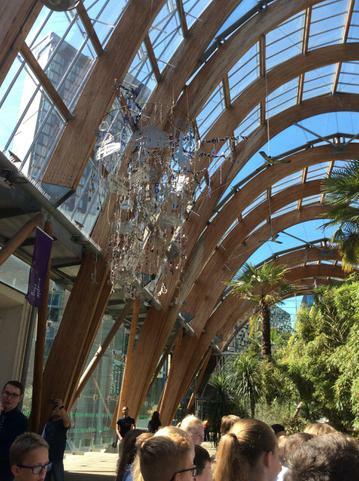 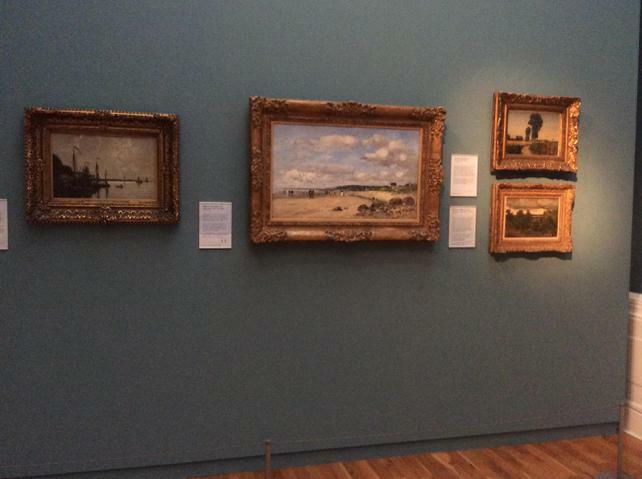 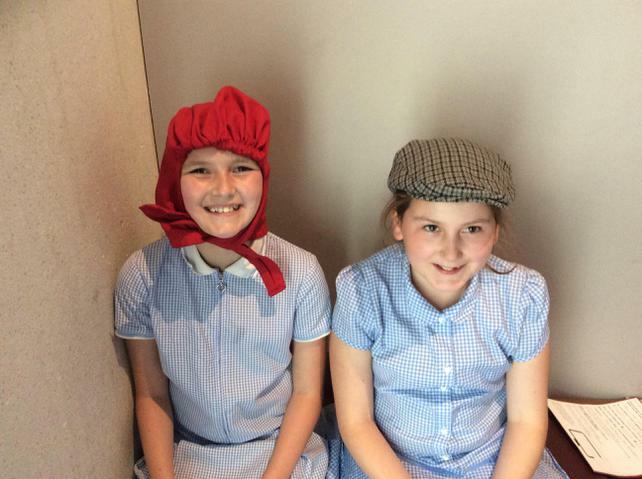 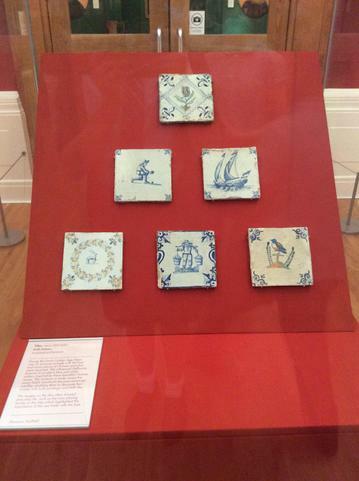 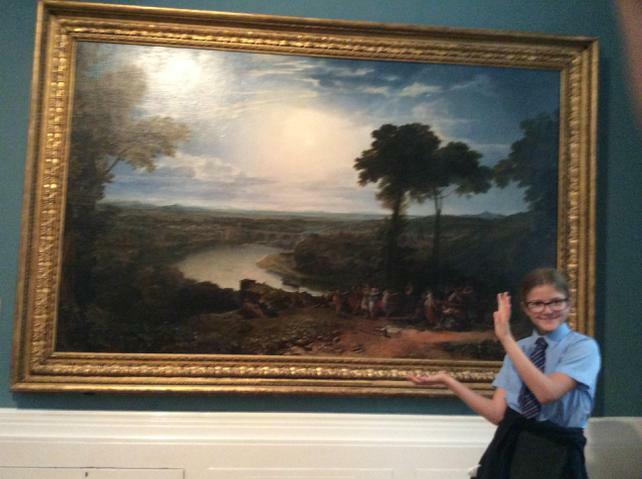 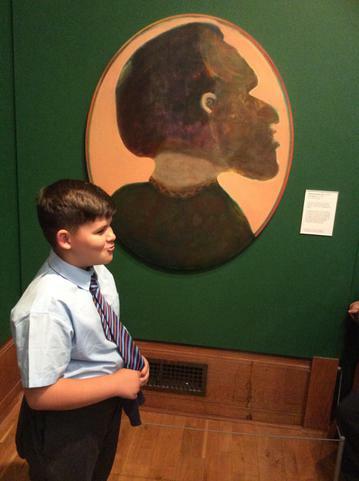 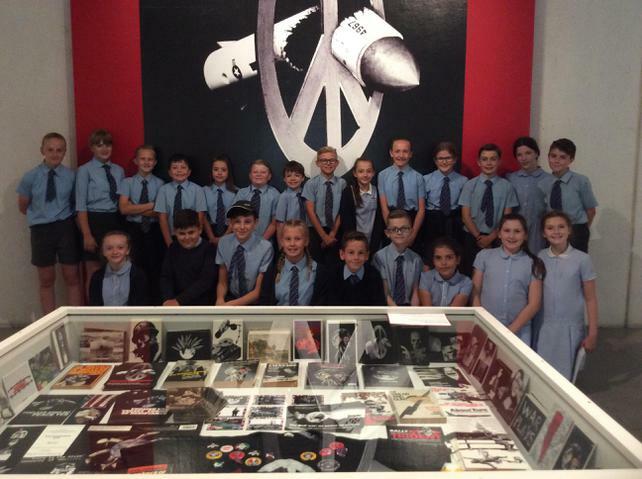 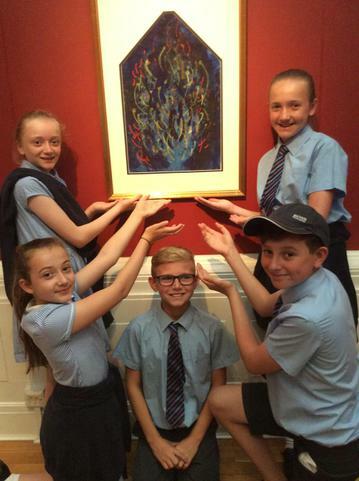 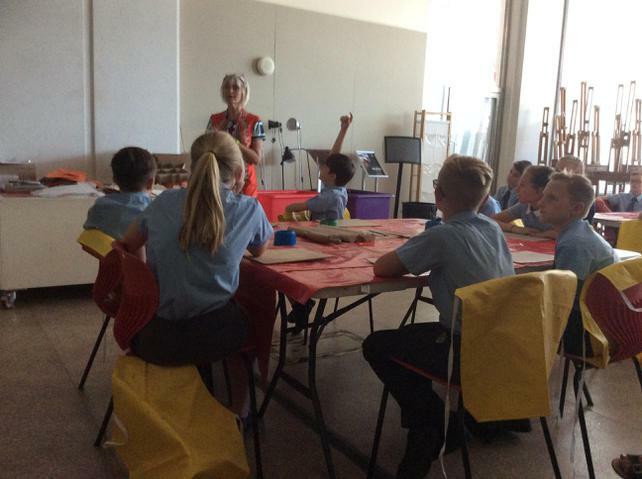 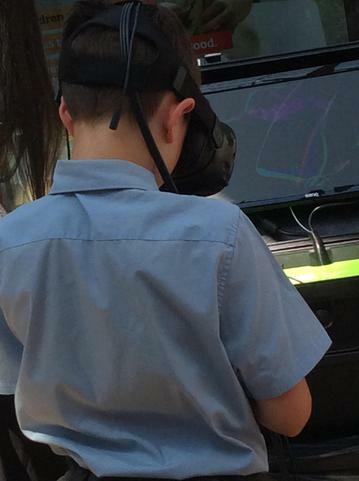 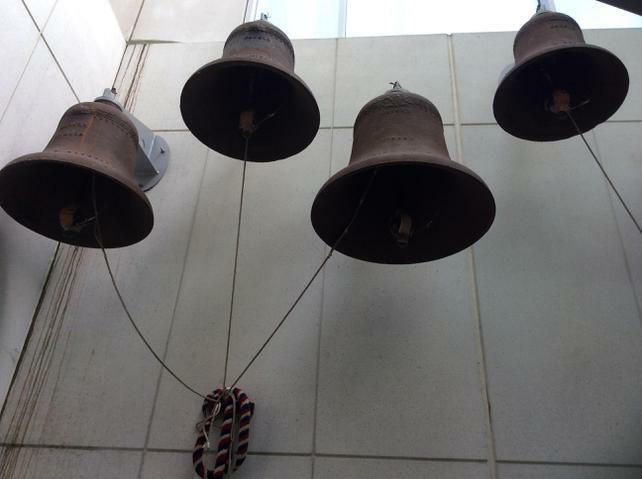 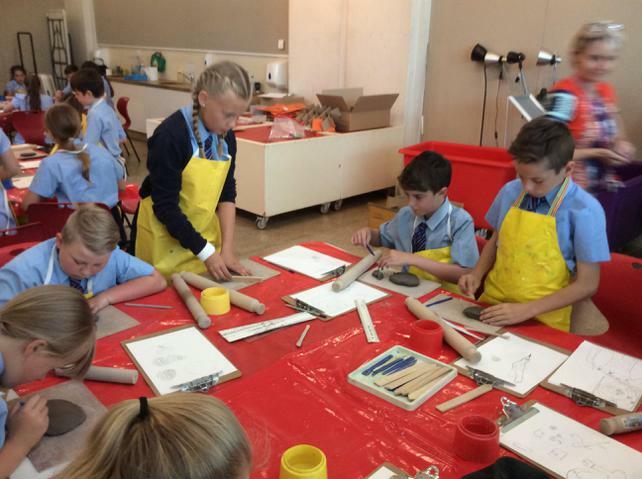 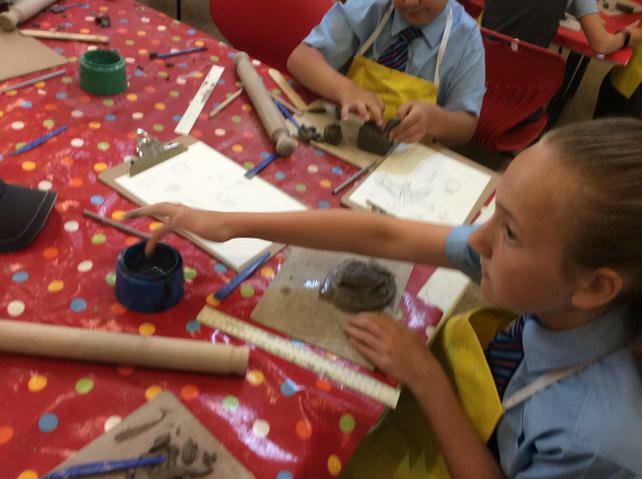 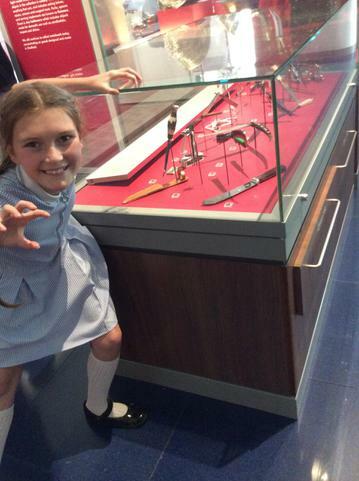 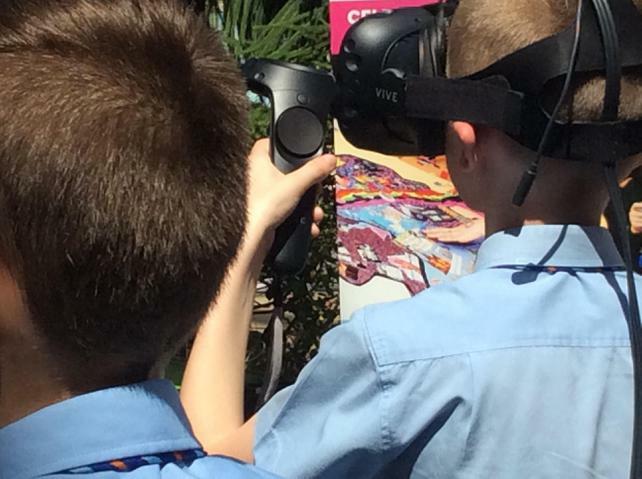 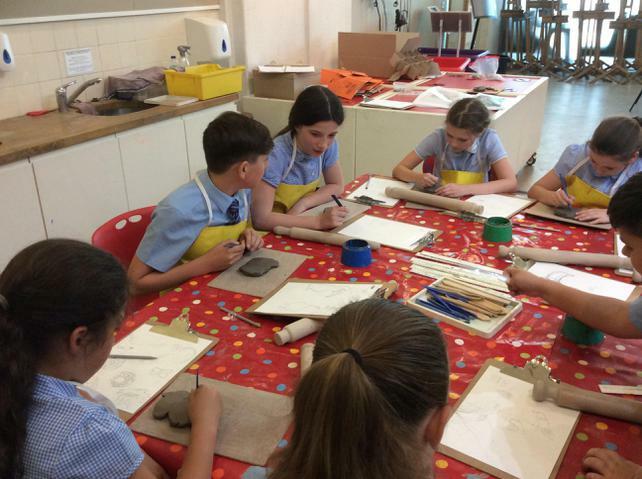 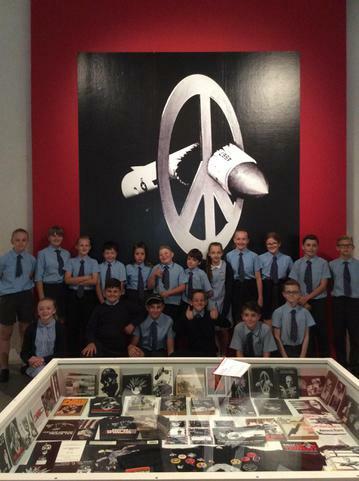 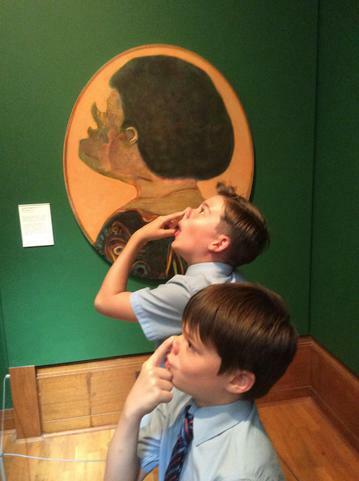 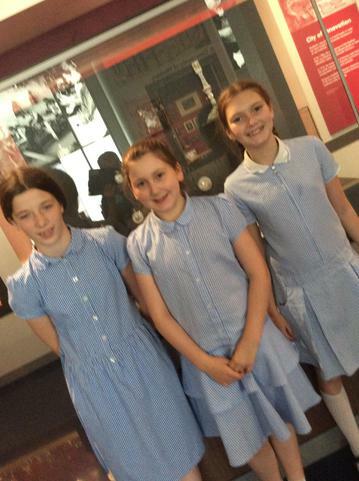 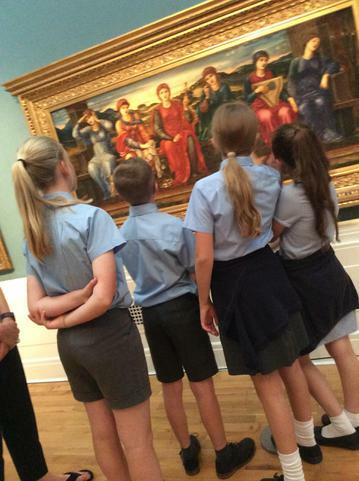 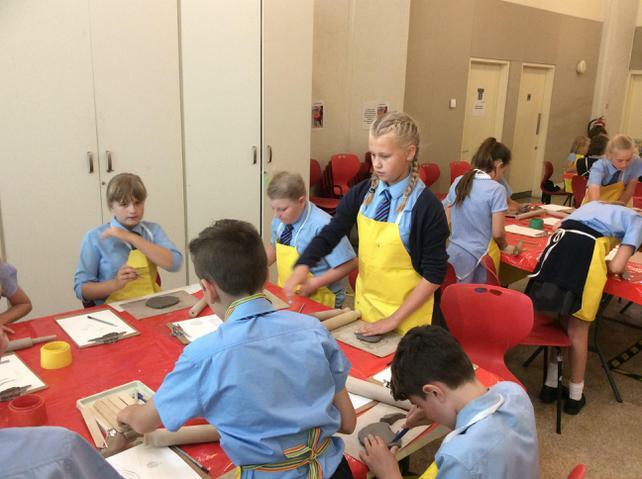 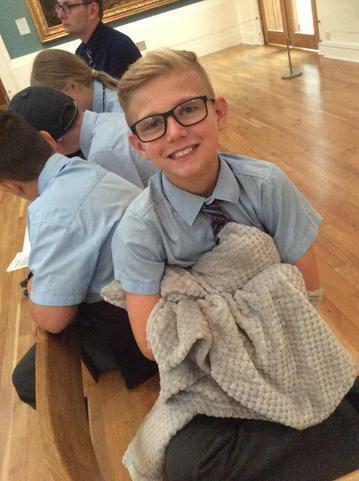 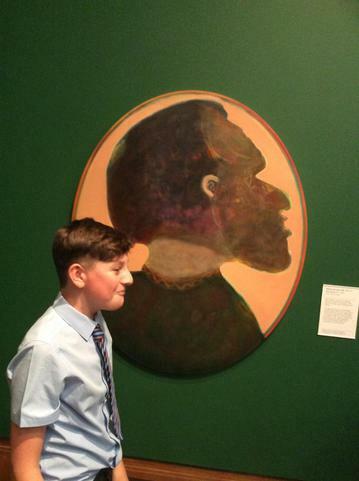 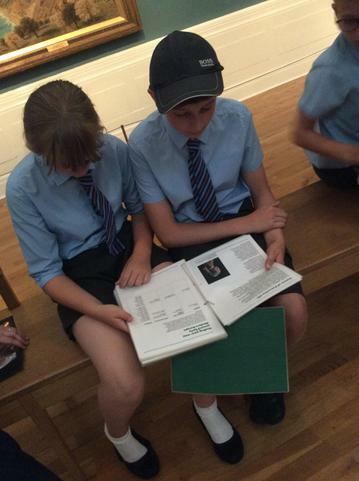 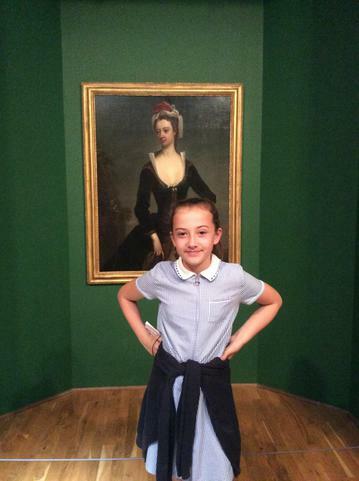 On Tuesday we spent the day at the Millenium Galleries in Shieffield looking at different pieces of artwork and sculptures relating to our Gallery Rebels topic. 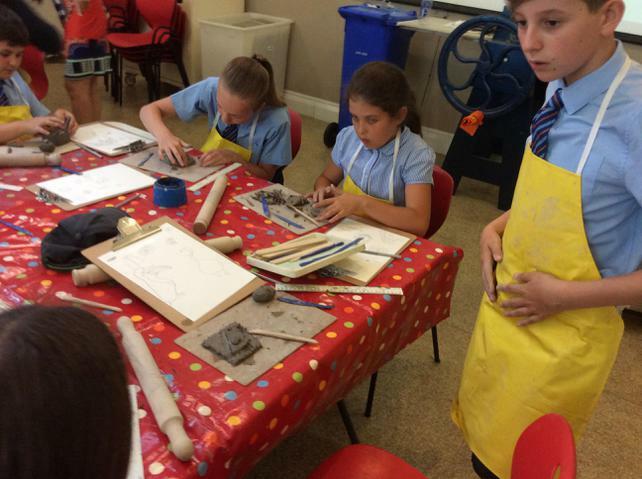 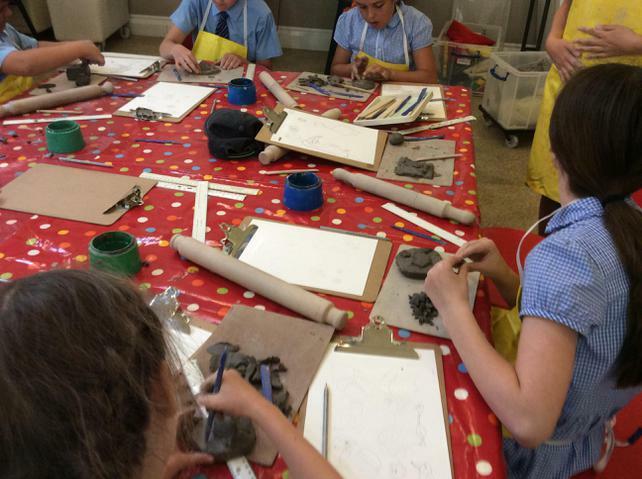 We were lucky enough to even have the chance to sculpt our own interpretations of relief sculptures. 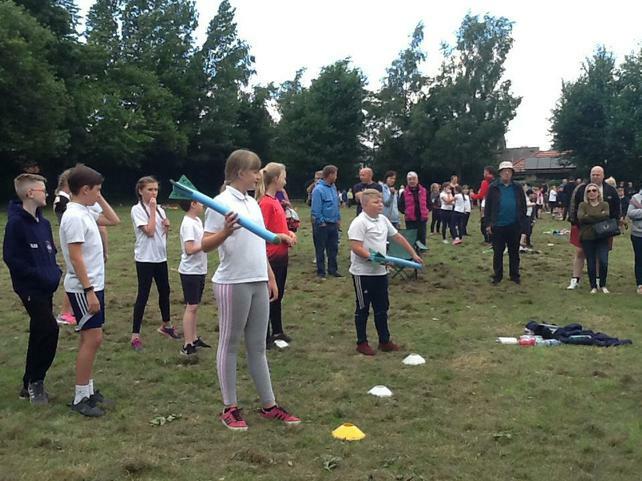 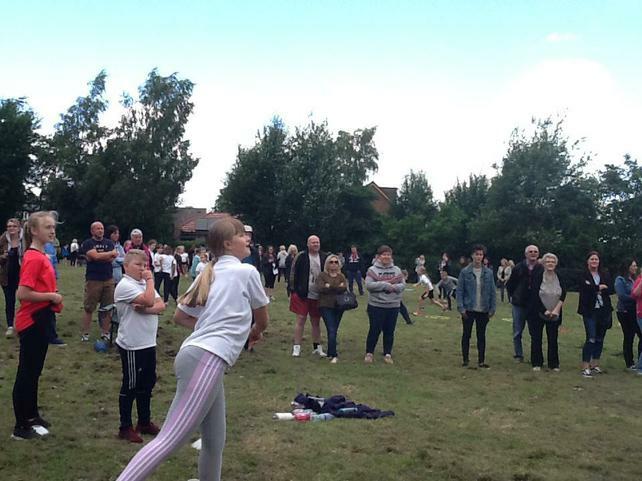 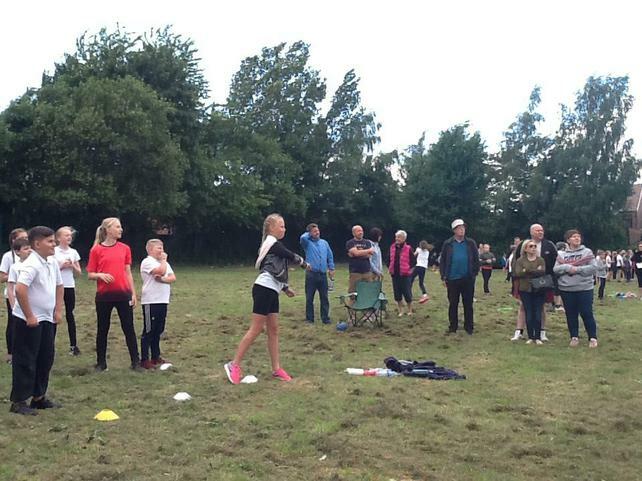 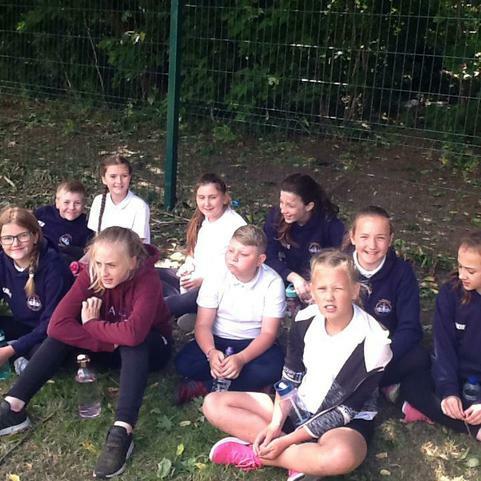 I would also like to give a special mention to our 4 fantastic members of the Year 6 St. Helens school relay team who romped to victory over St. Michaels and Sacred Heart in the year 6 race and di St. Helen's proud. 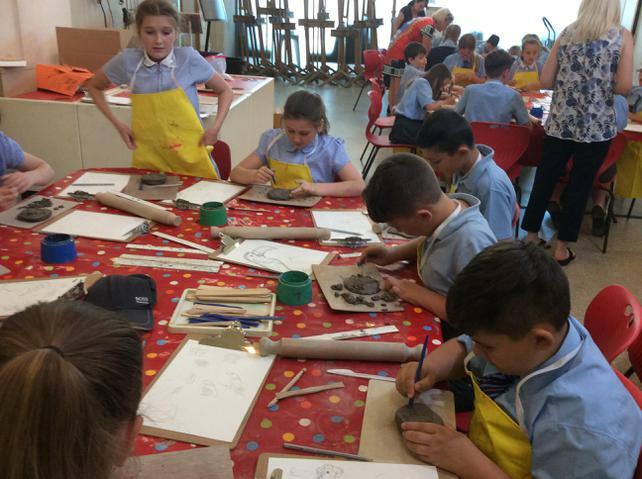 Class 5 were very lucky this week as we had our parents and grandparents come into school to help us in our final ever parents afternoon. 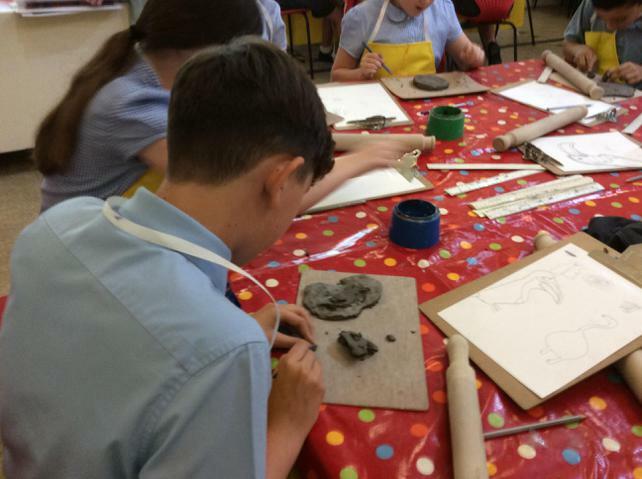 We were embracing our artistic side based on our topic Gallery rebels and tried to create a bowl inspired by Henri Matisse. 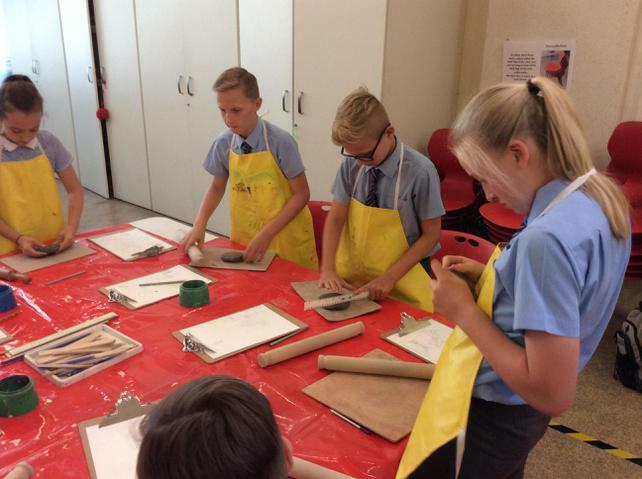 Our attempts were pretty good and we just have to keep applying more layers of PVA glue over the next week or so before we get our finished piece. 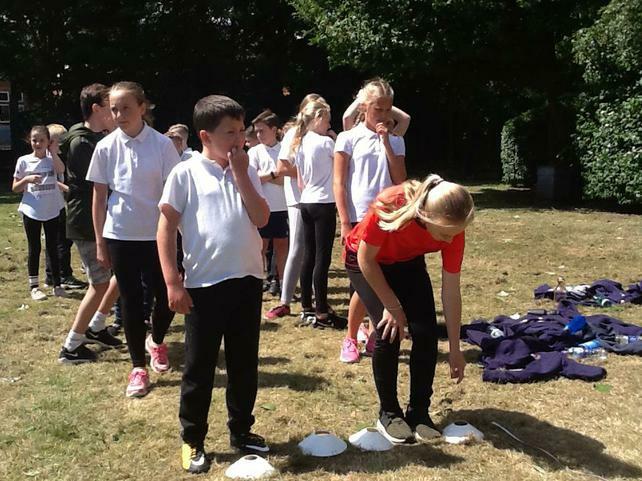 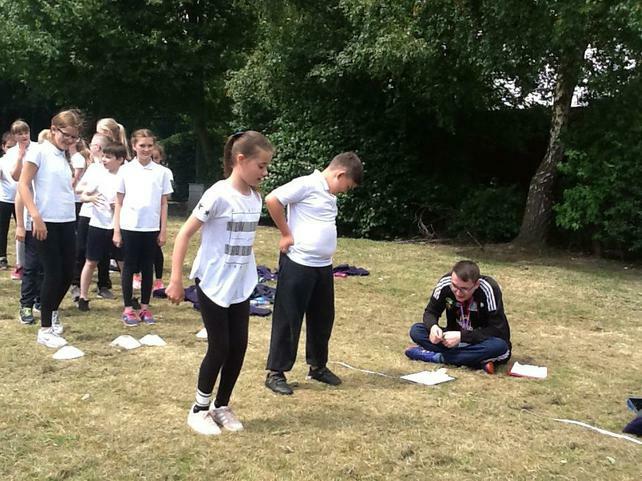 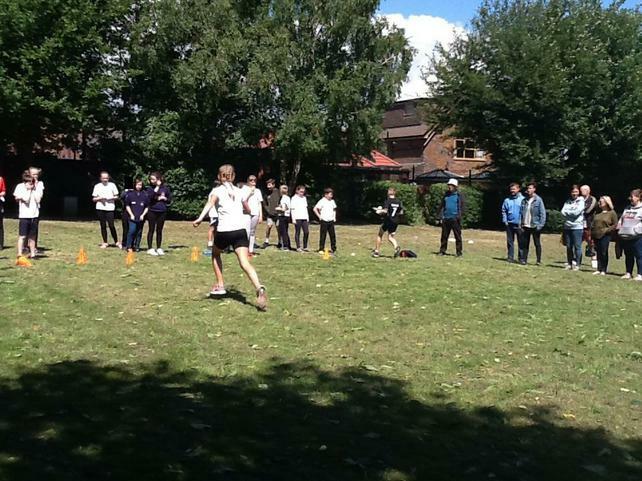 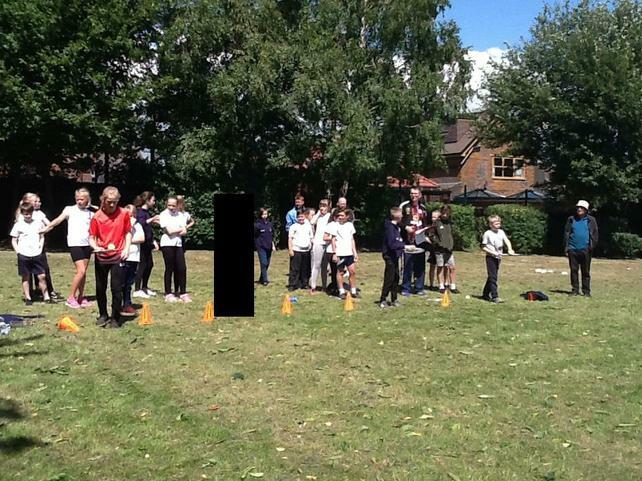 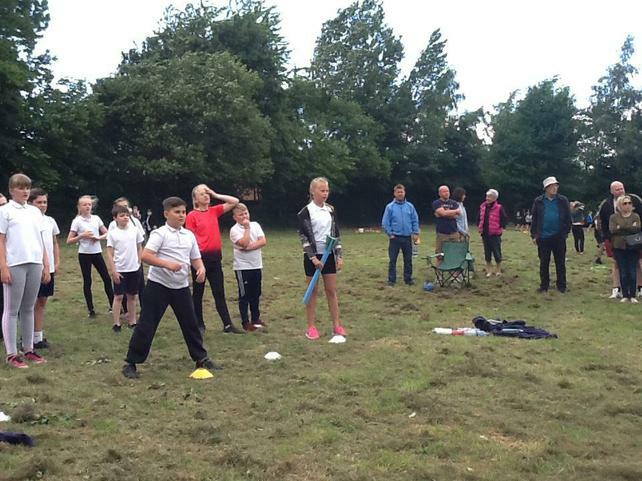 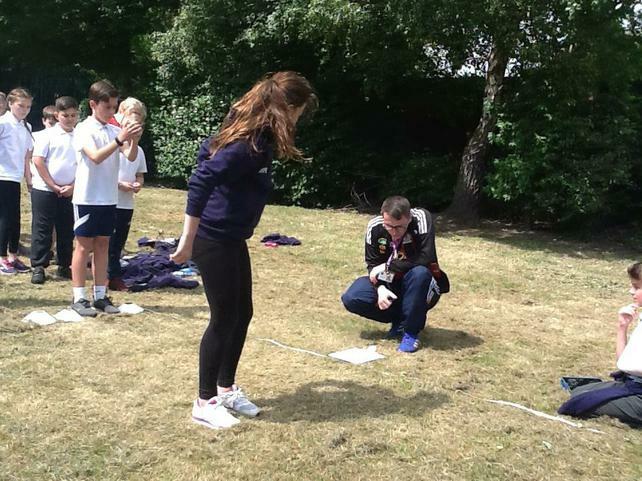 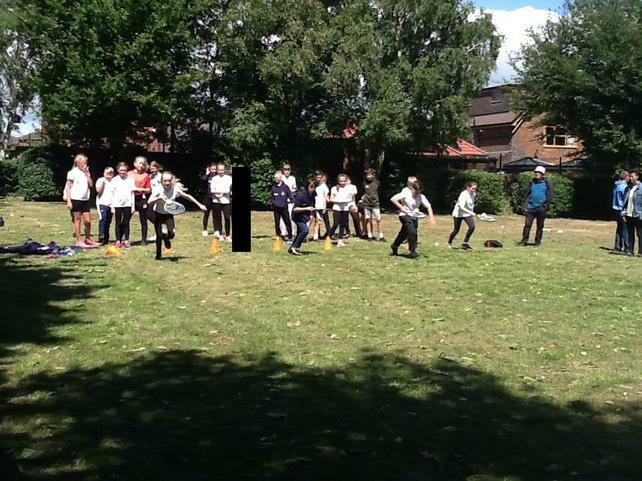 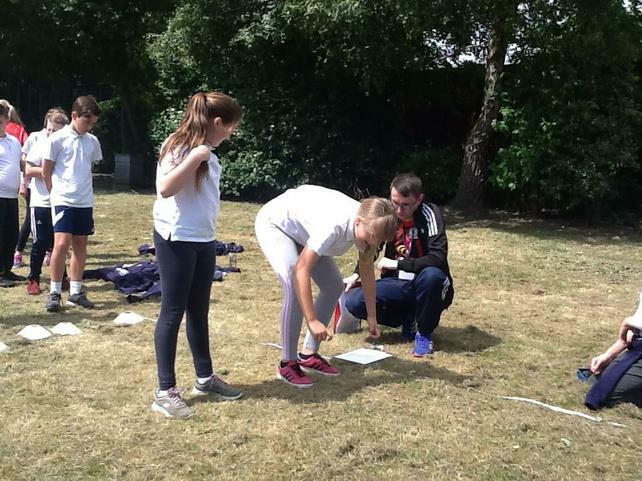 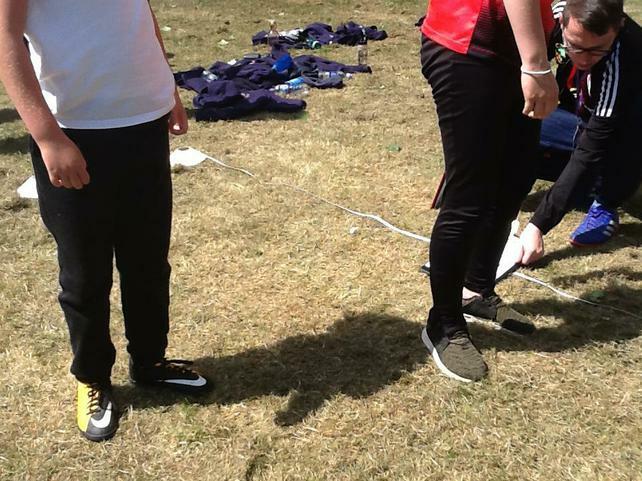 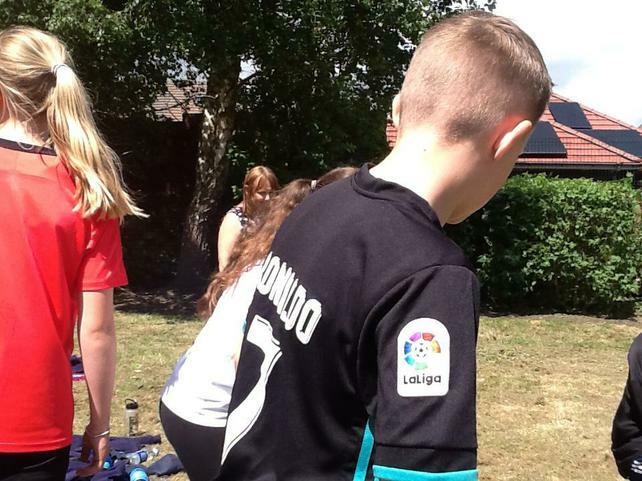 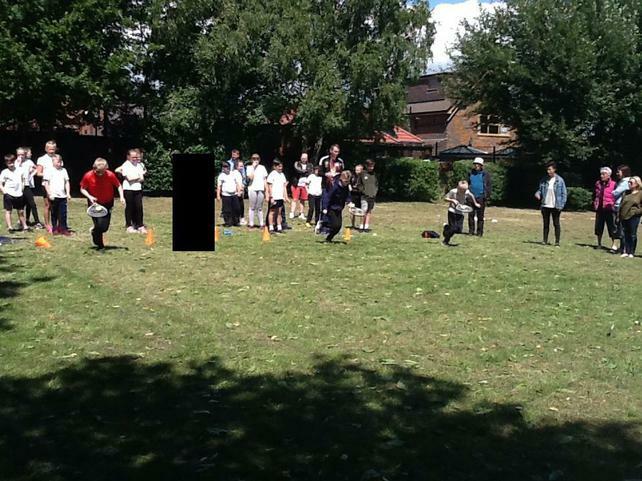 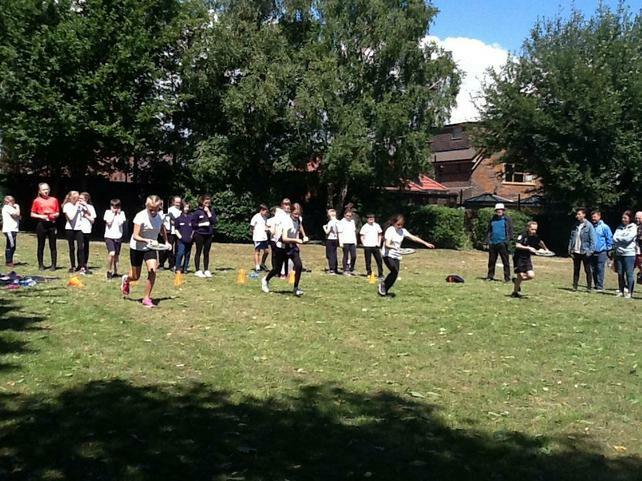 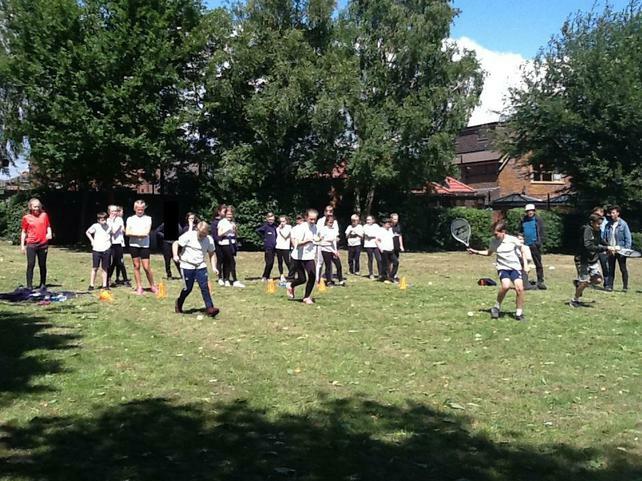 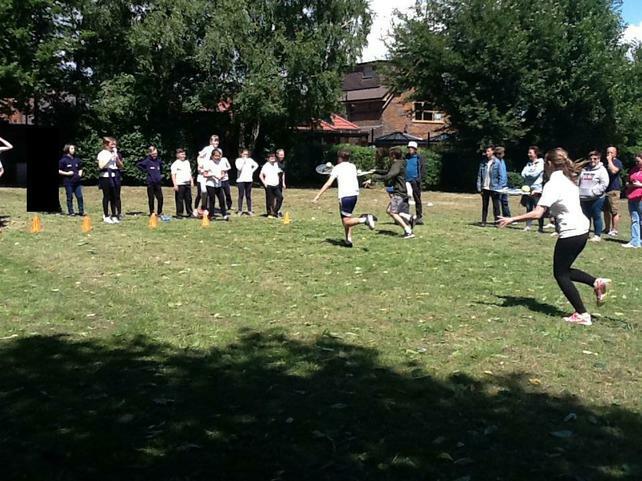 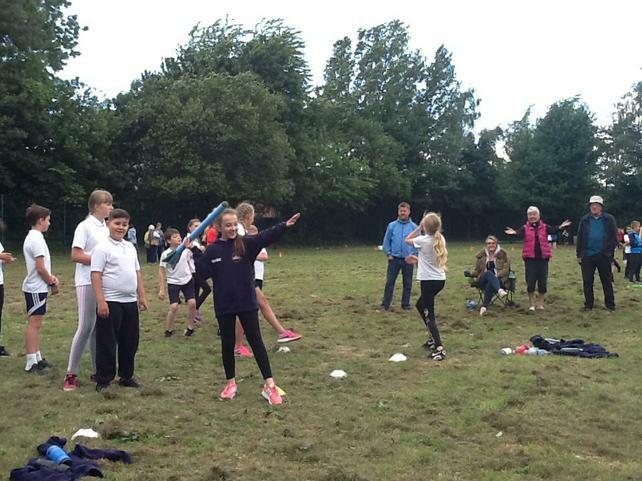 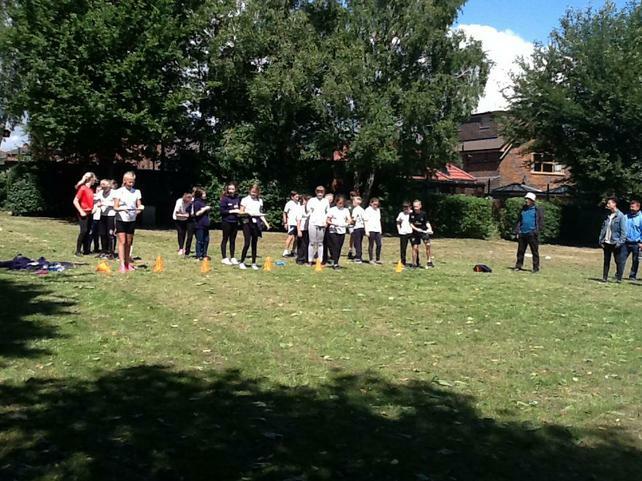 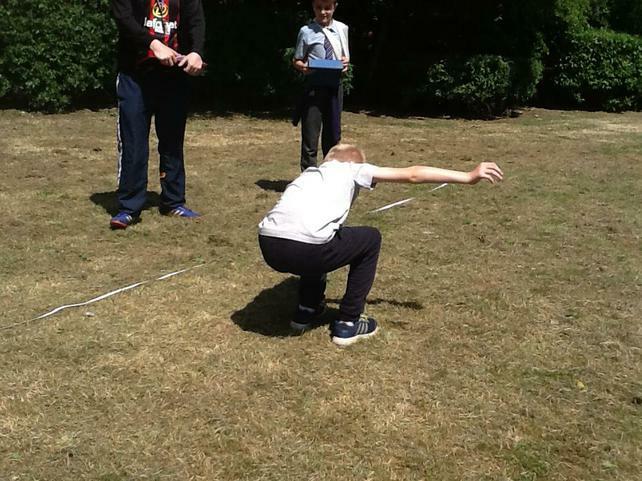 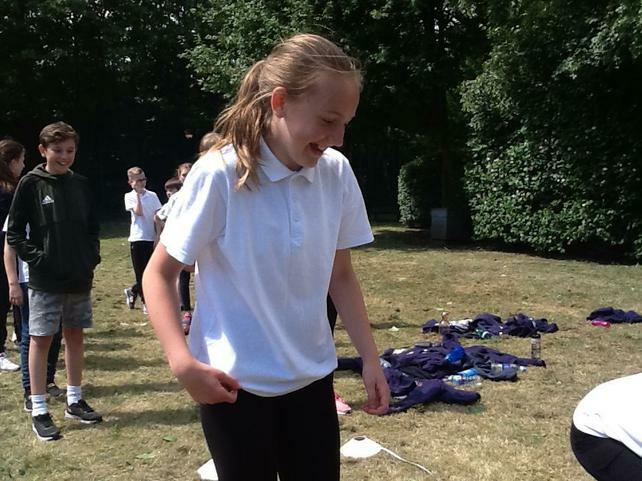 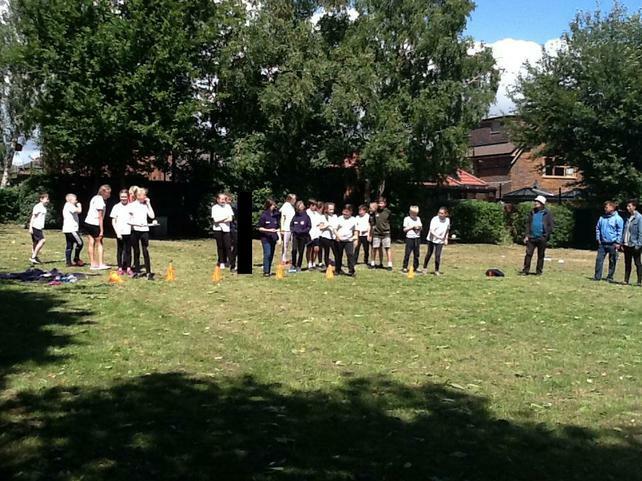 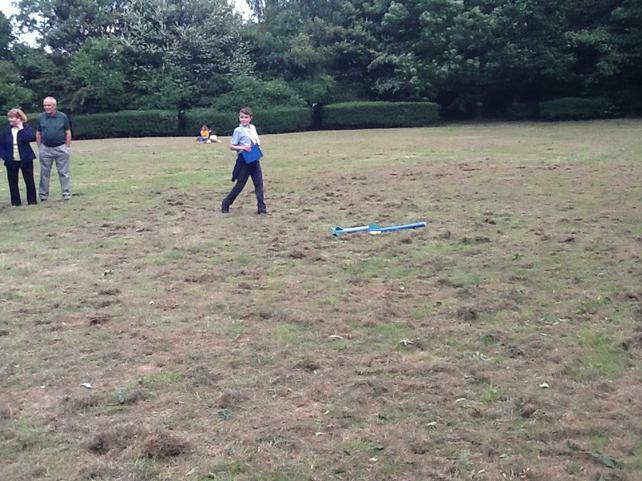 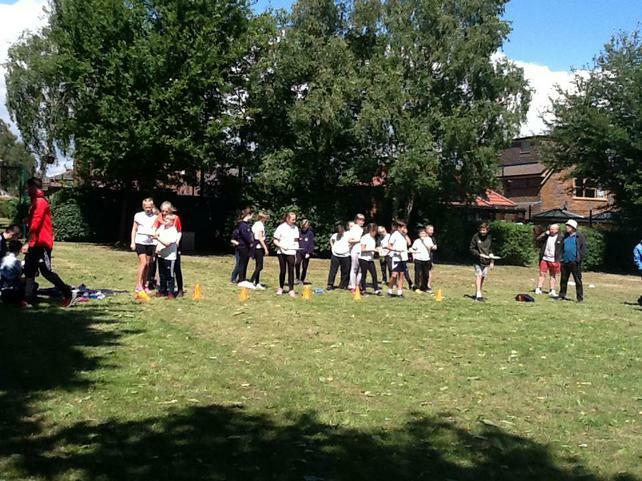 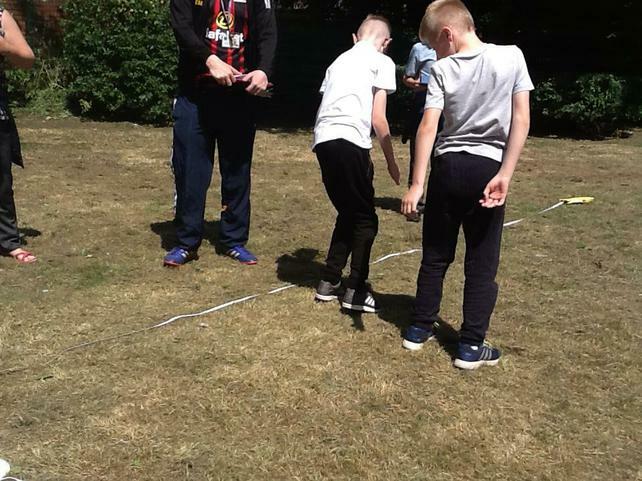 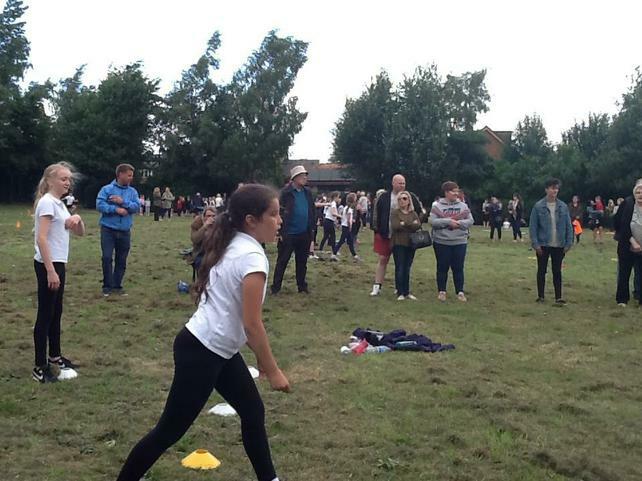 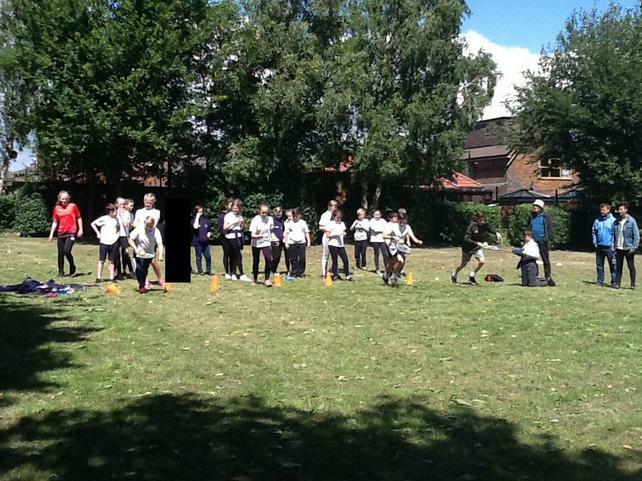 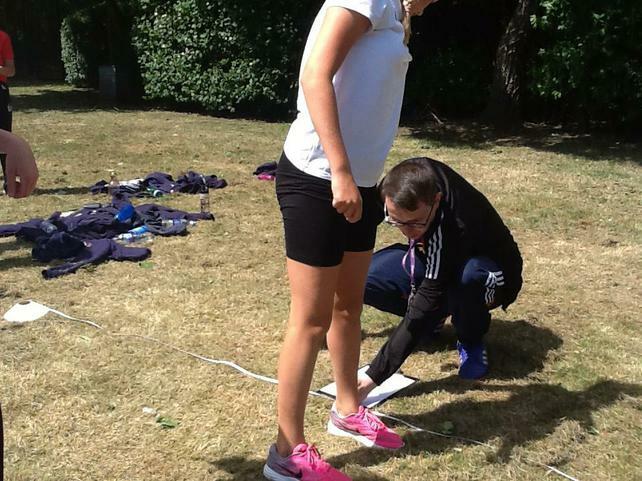 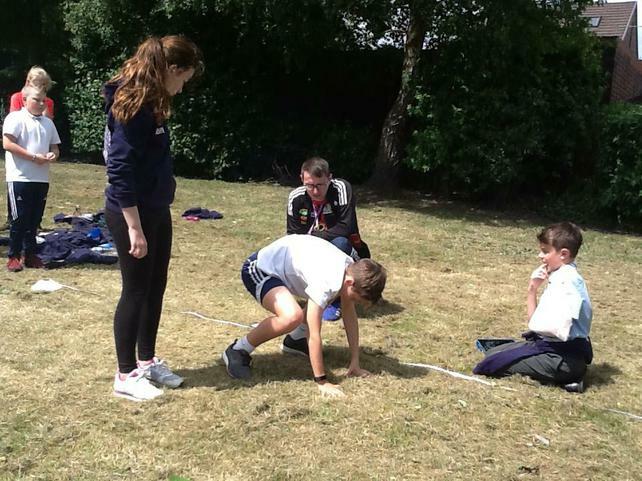 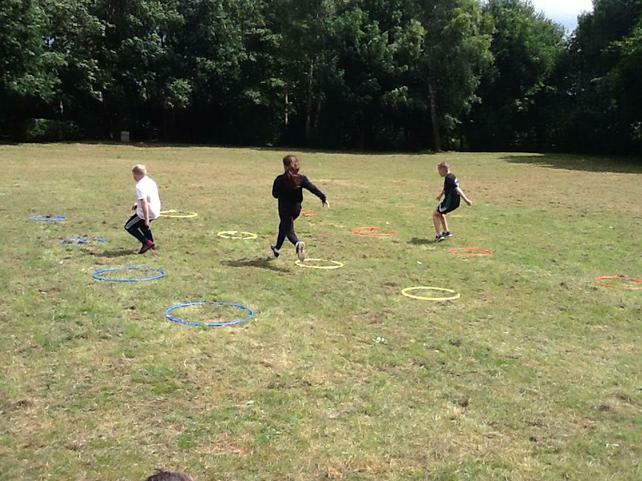 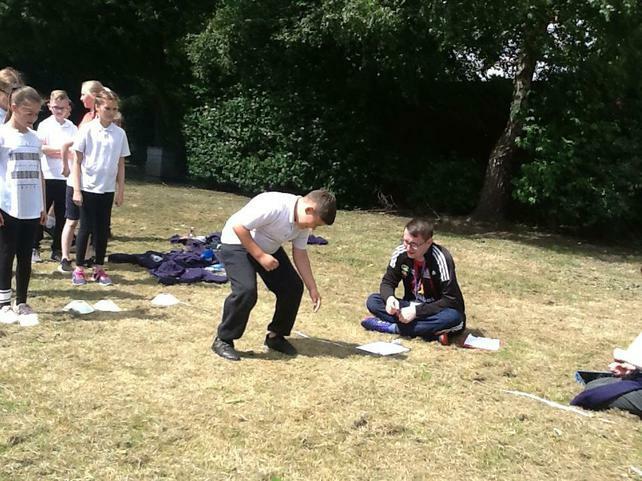 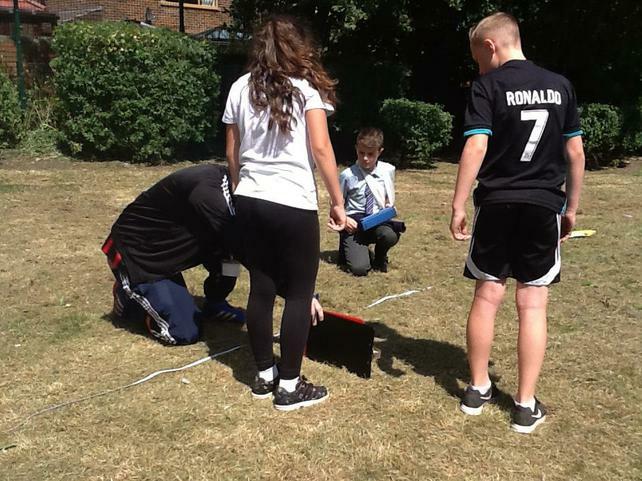 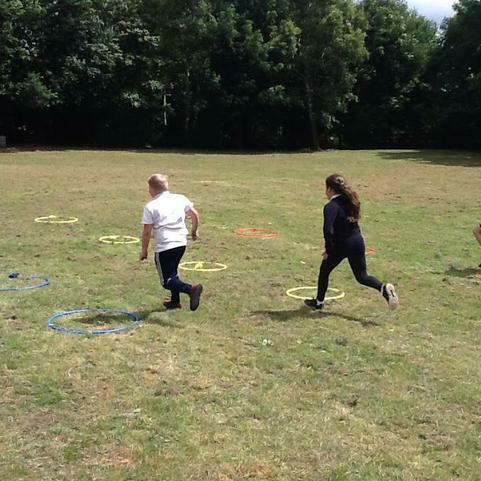 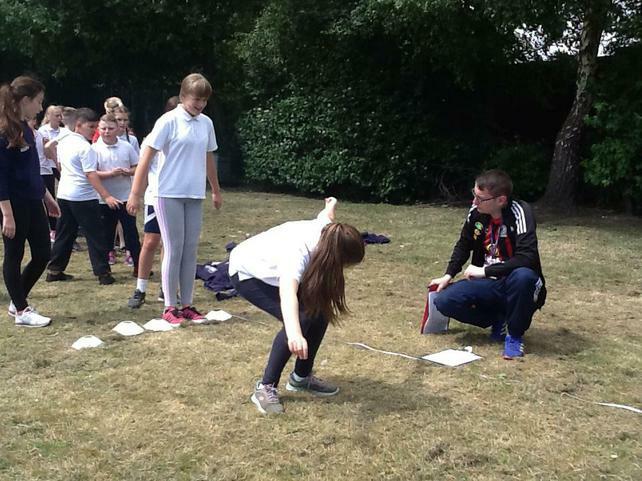 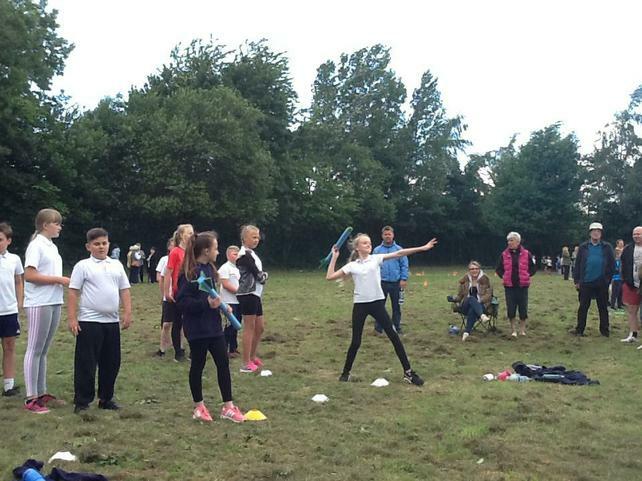 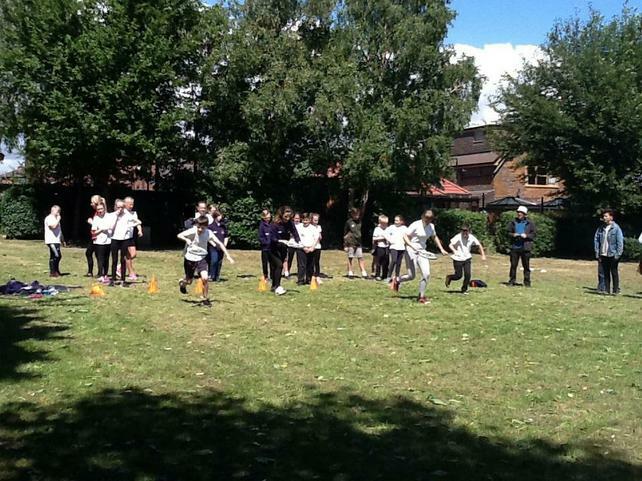 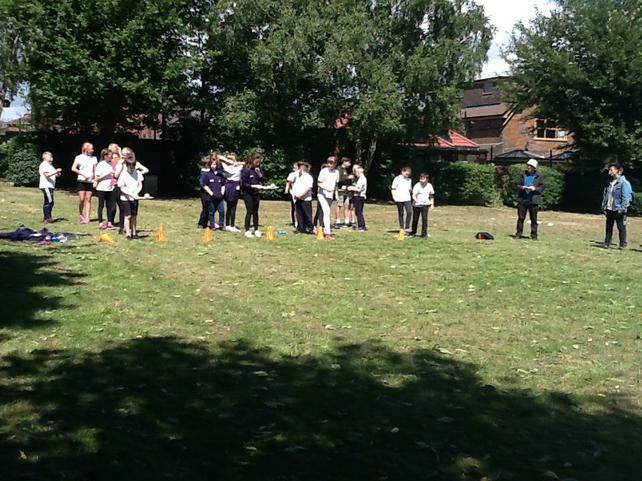 Class 5 in our first week back have had a fantastic sports day. 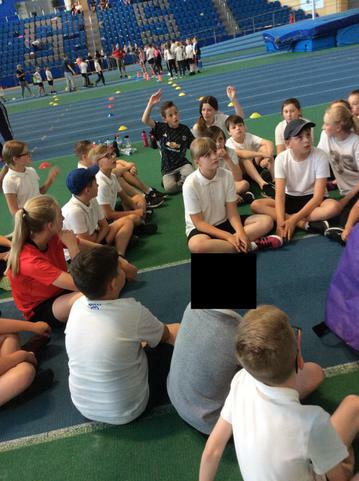 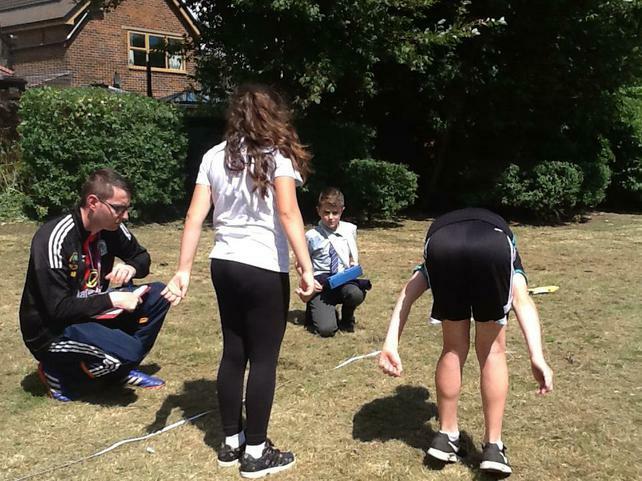 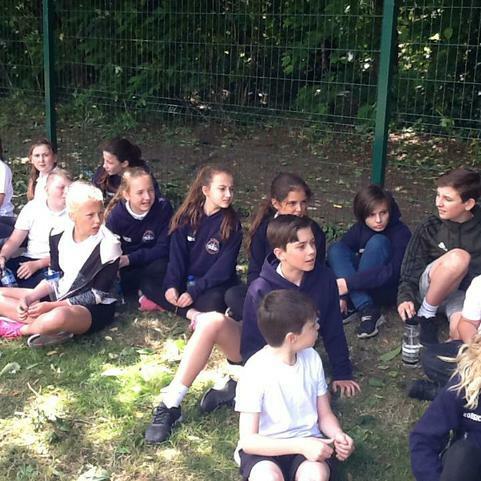 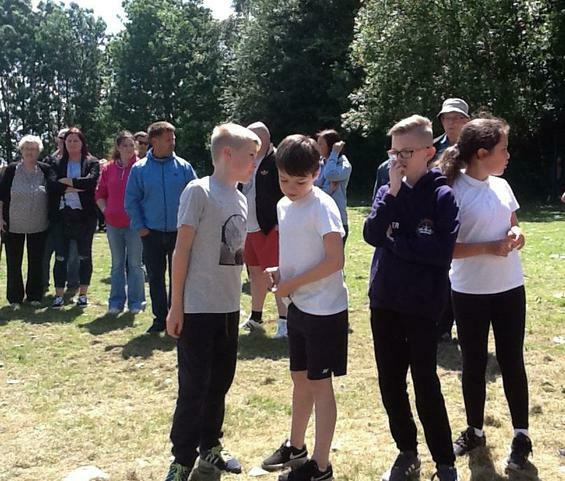 We really enjoyed all the events and we were a massive credit to ourselves for how we all attempted everything and we should great sportsmanship. 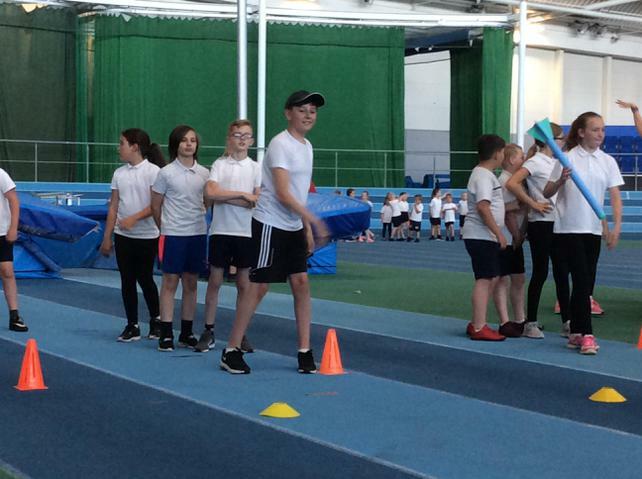 We cheered everyone on and we were happy that we tried our best in everything.